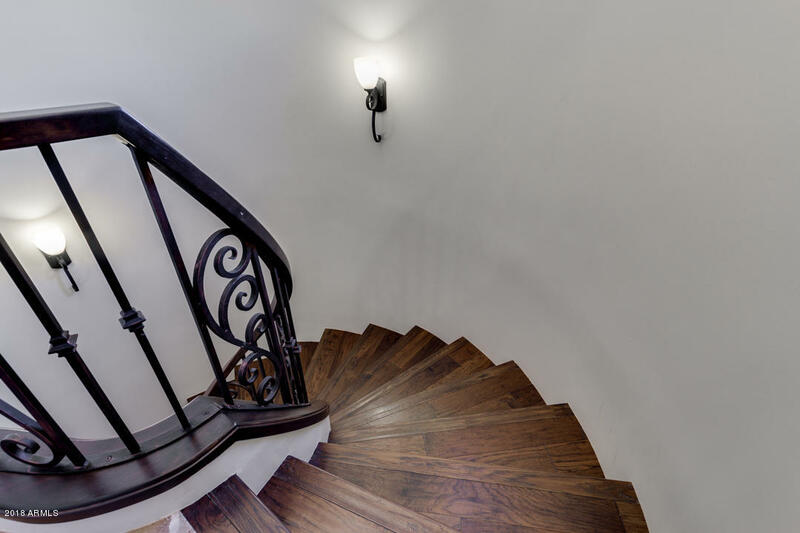 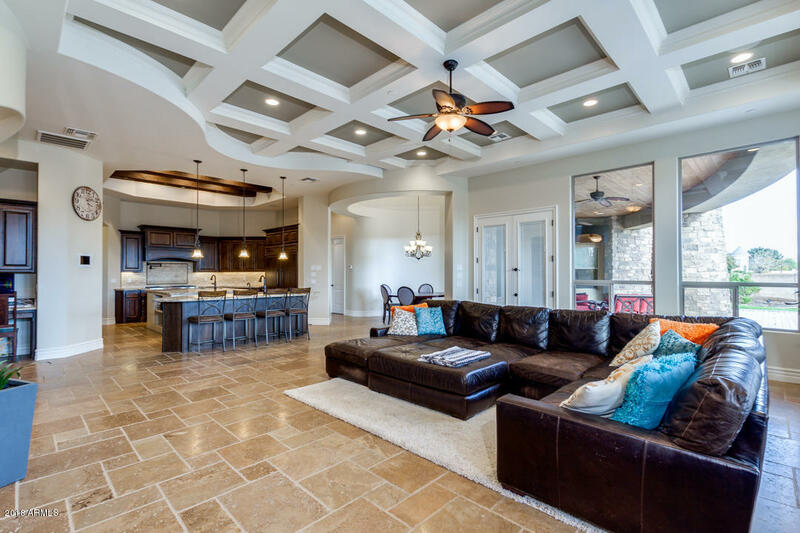 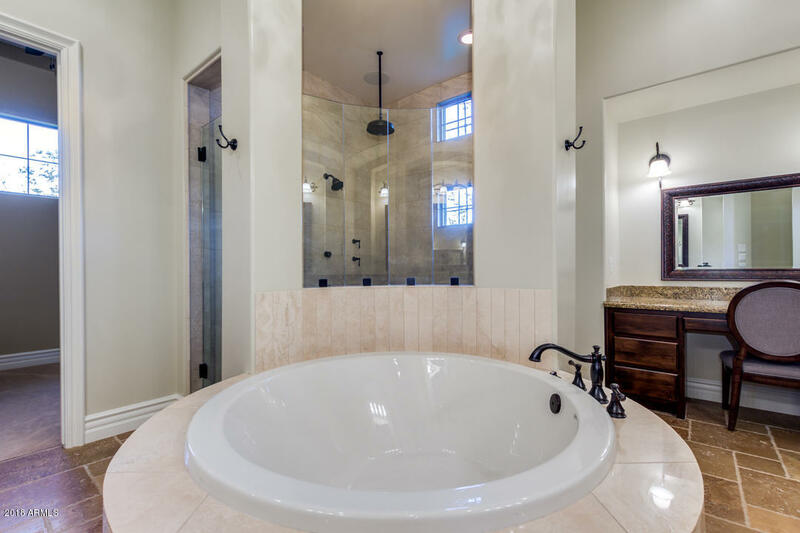 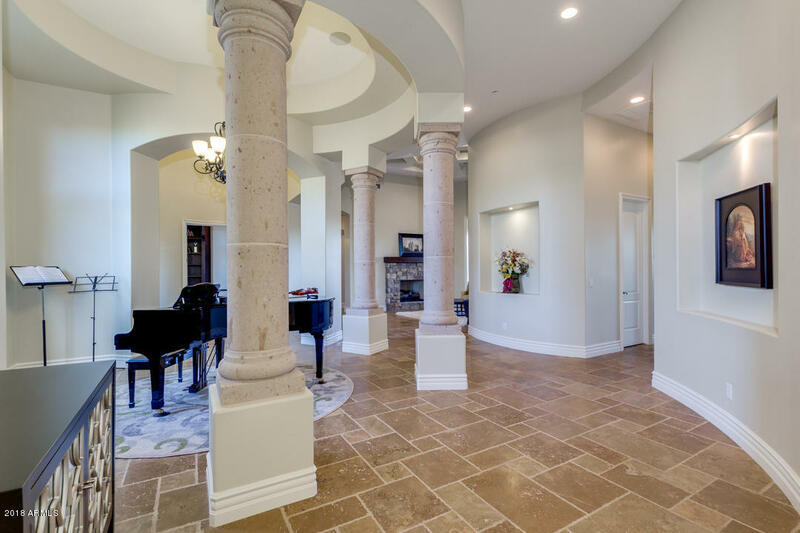 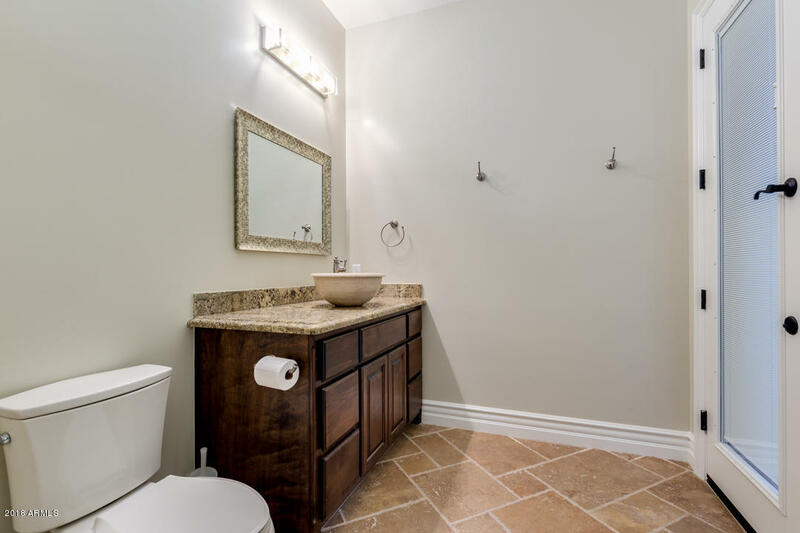 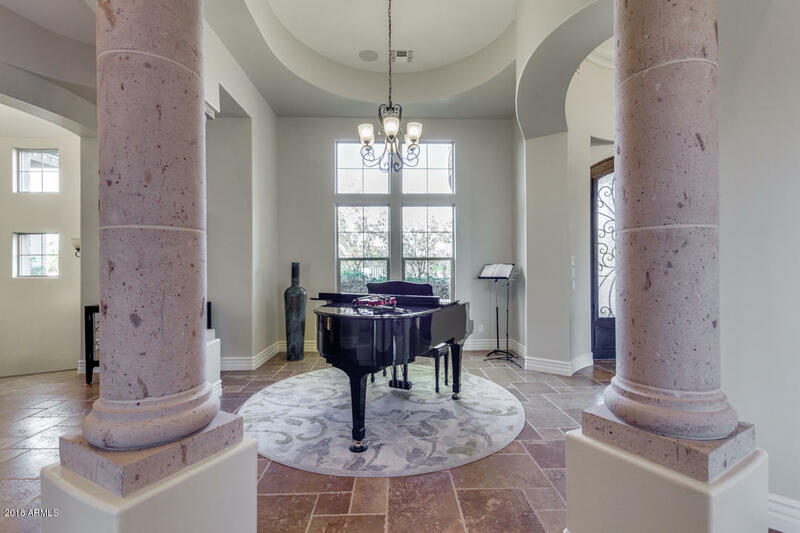 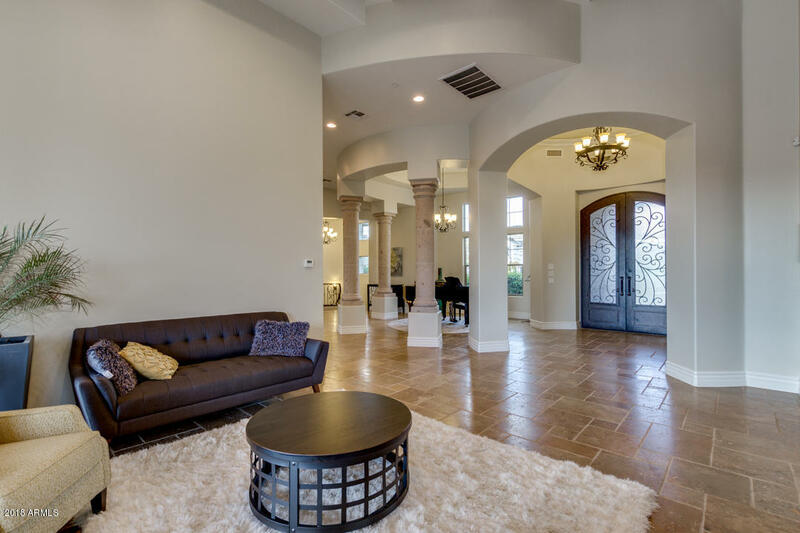 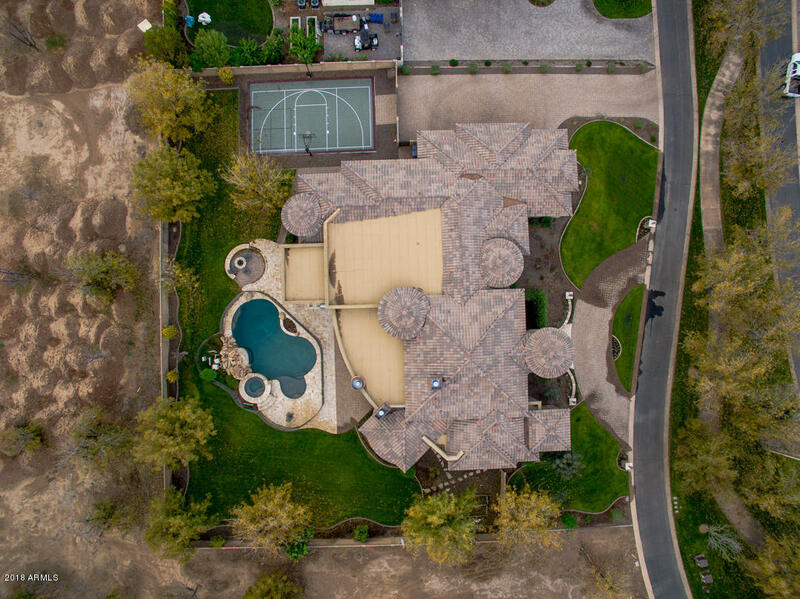 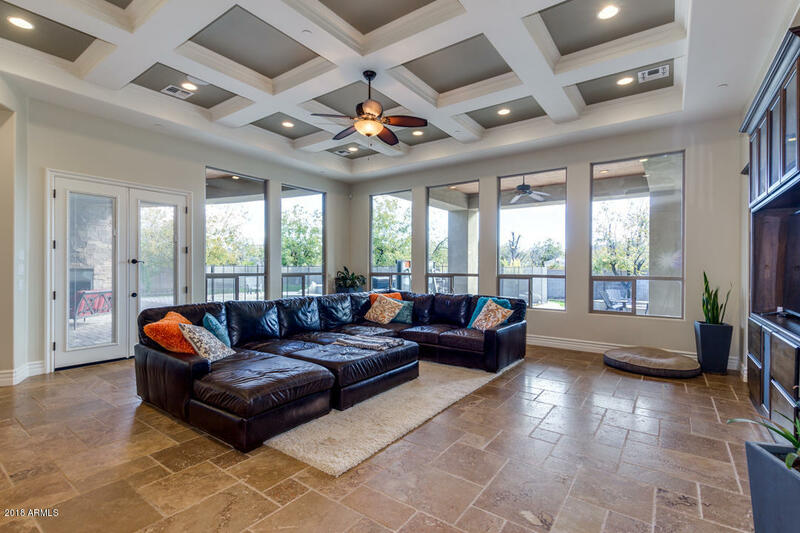 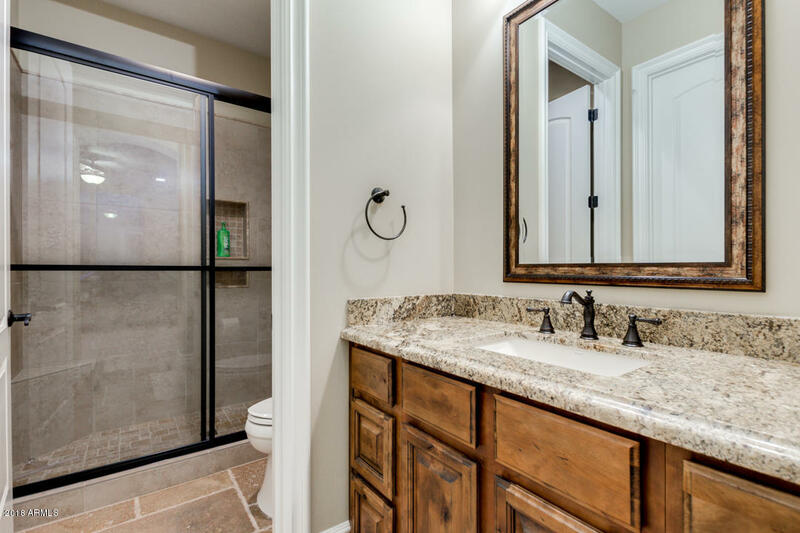 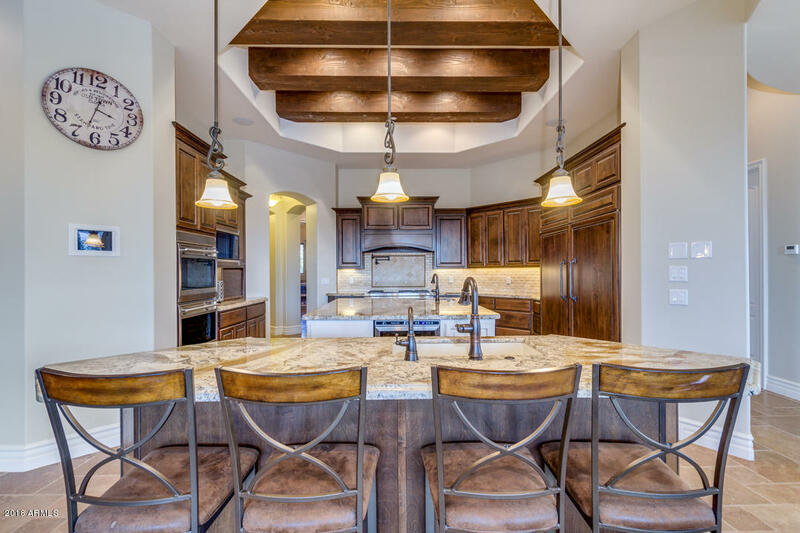 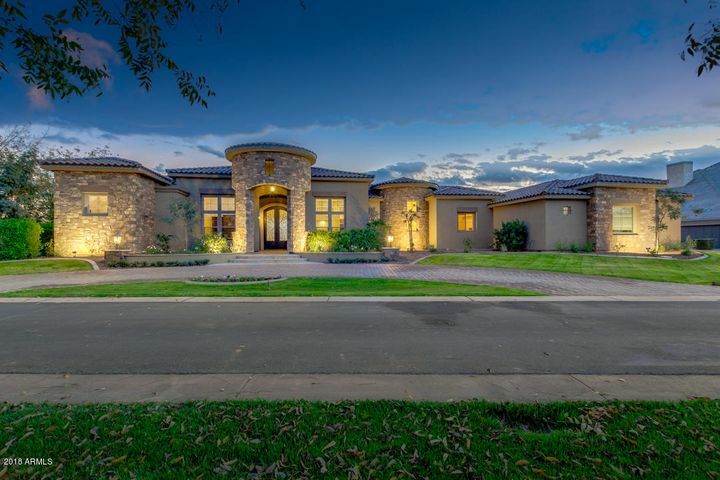 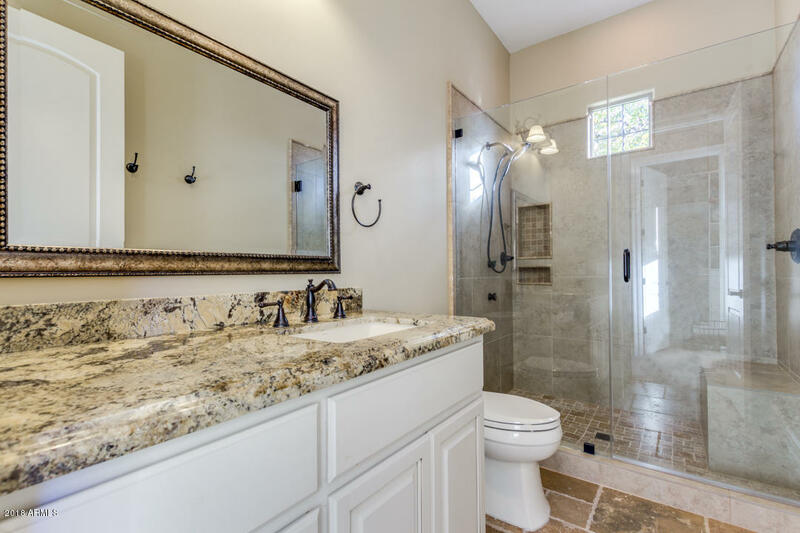 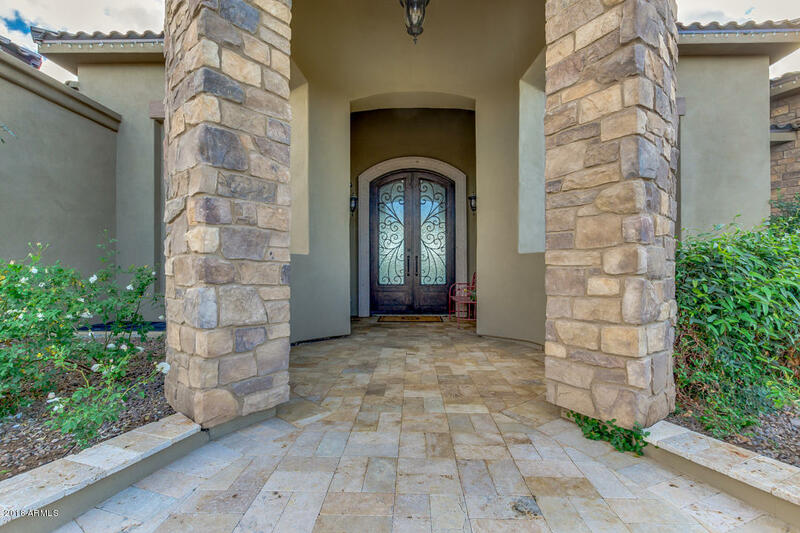 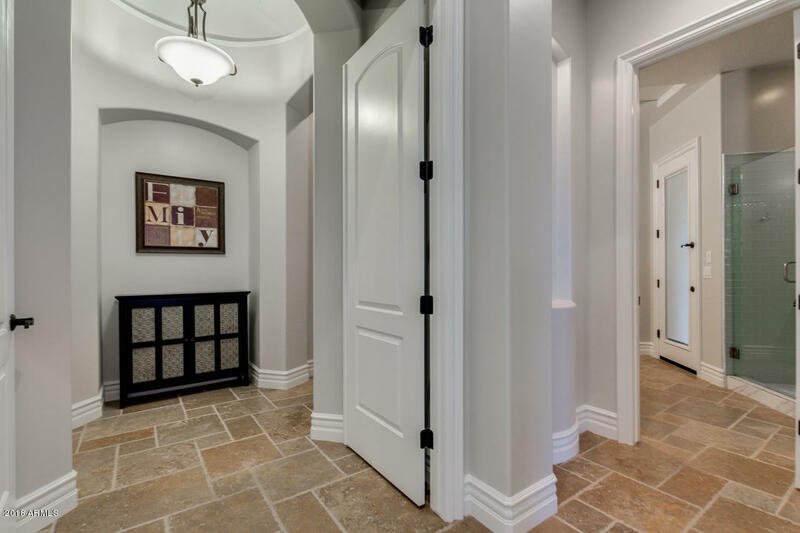 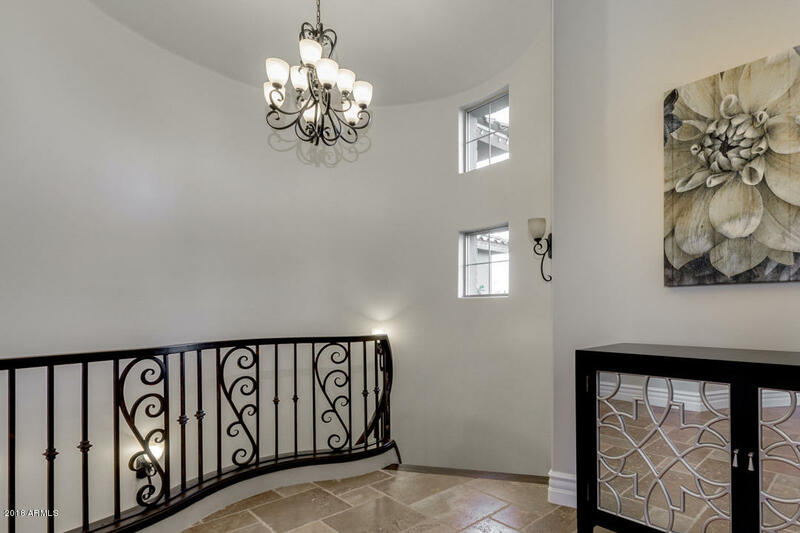 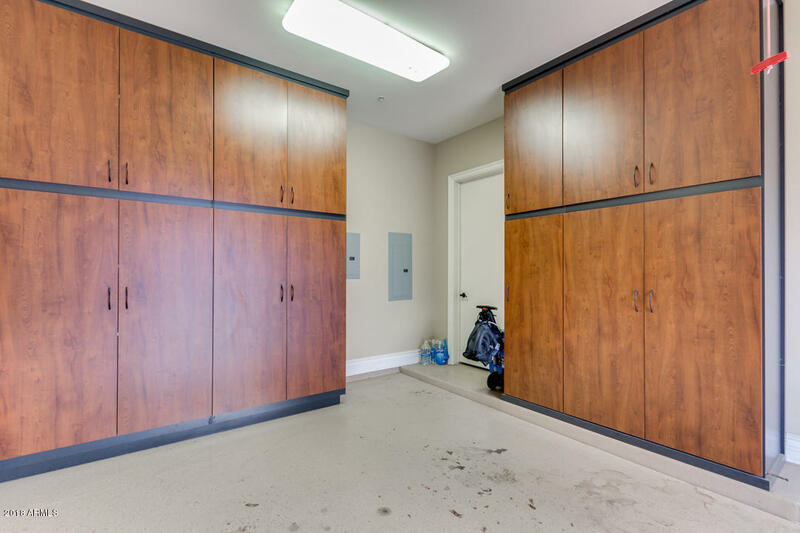 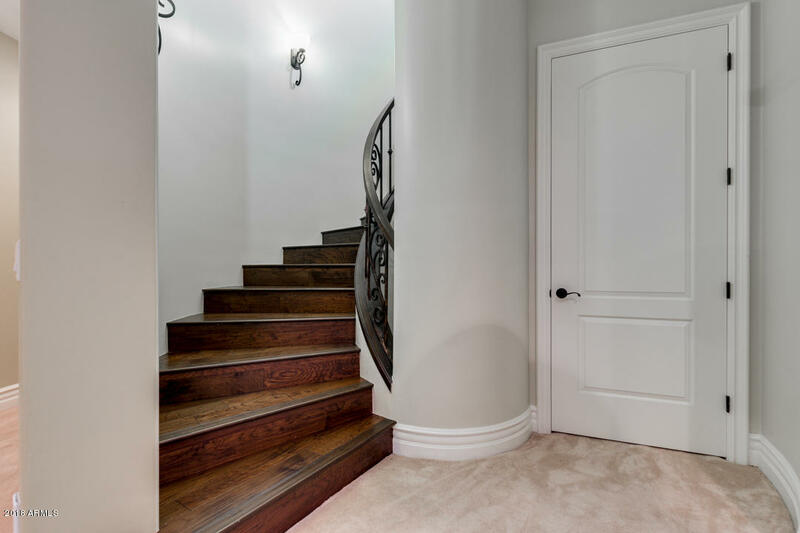 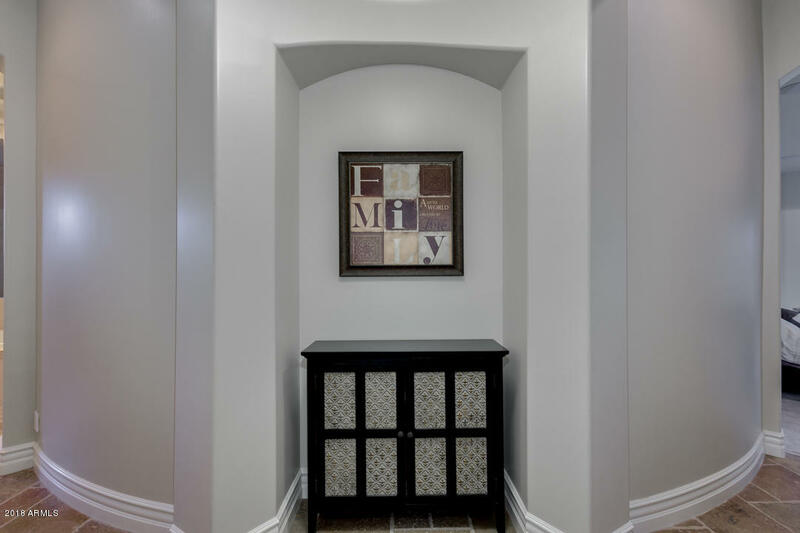 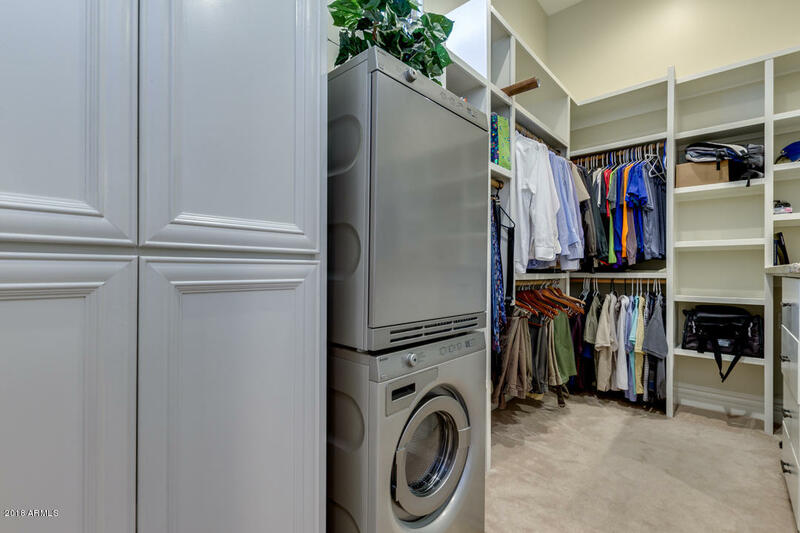 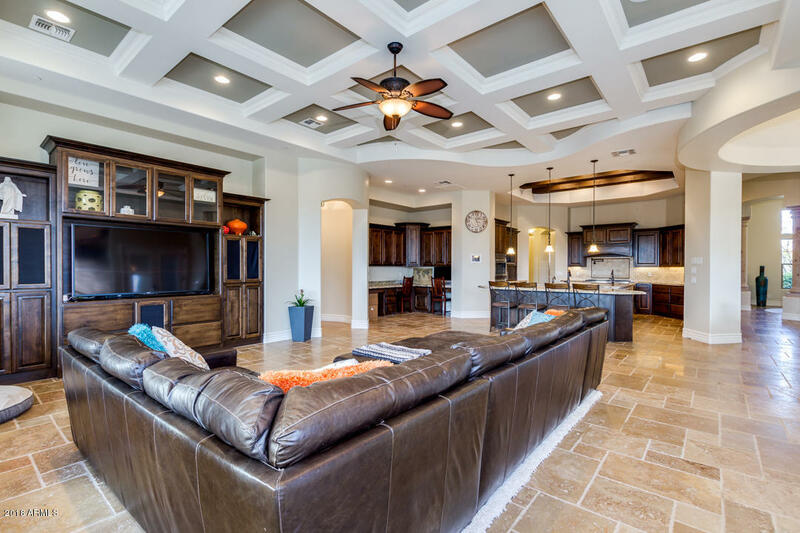 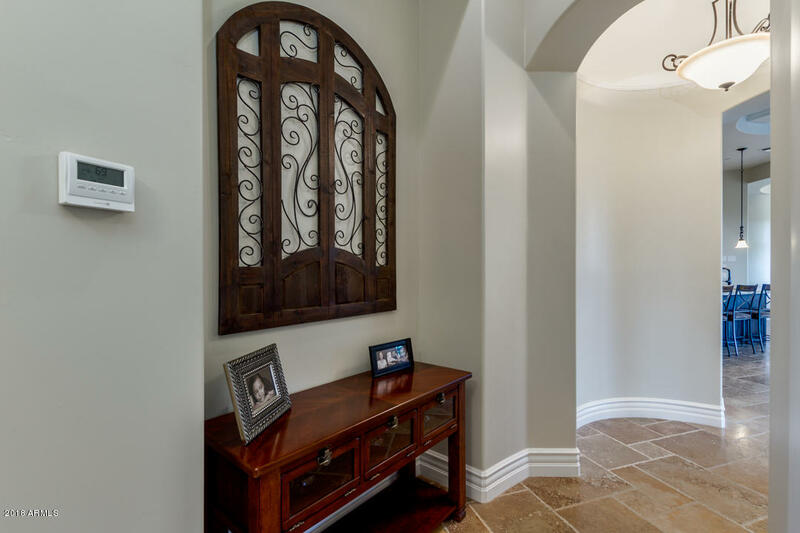 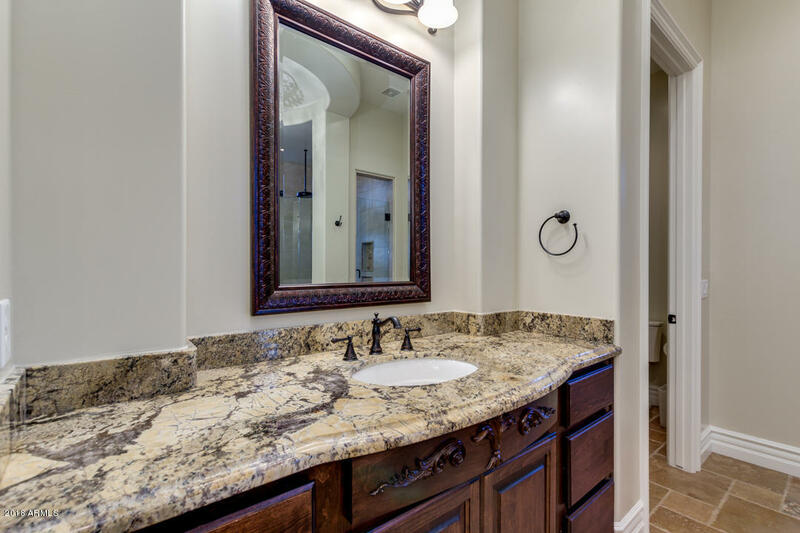 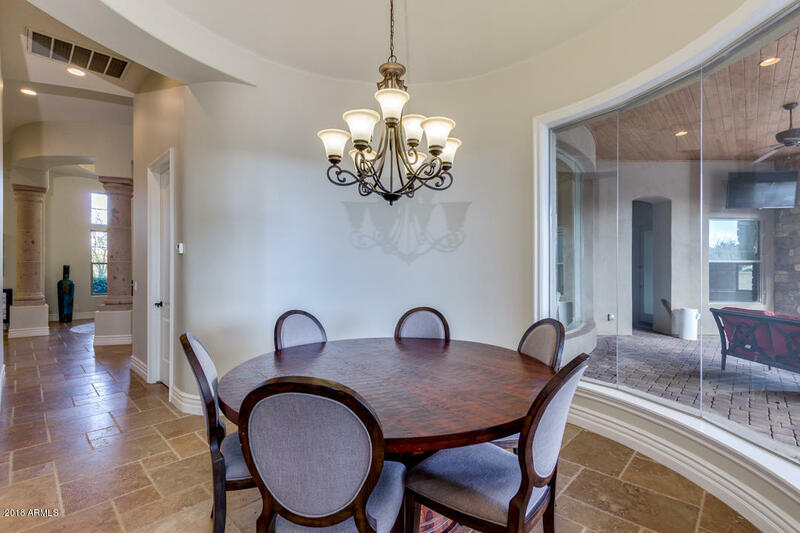 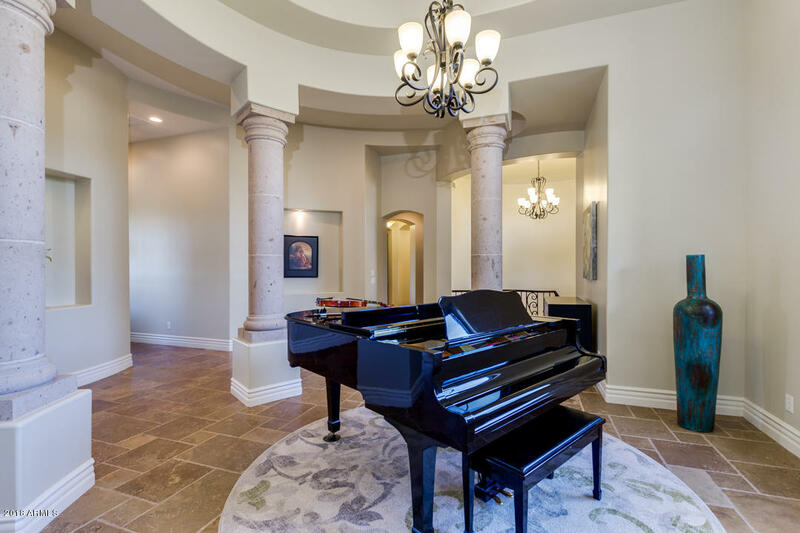 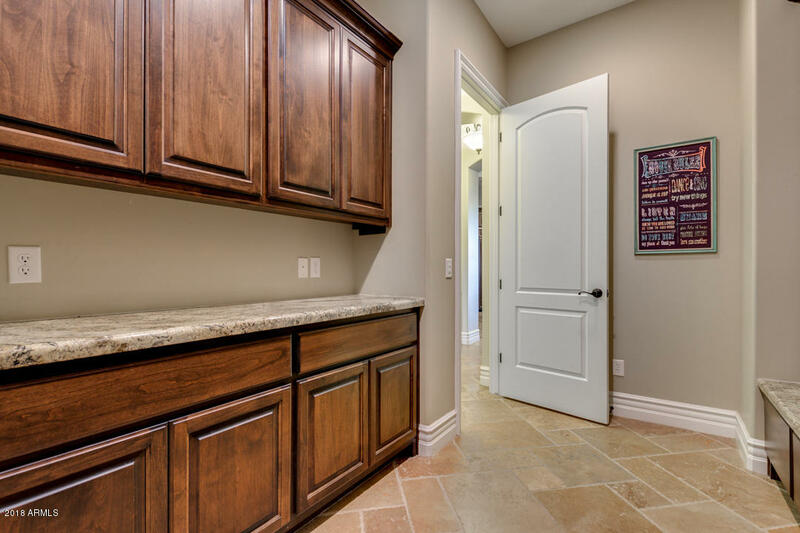 Luxury property located in the Gated Community of The Pecans. 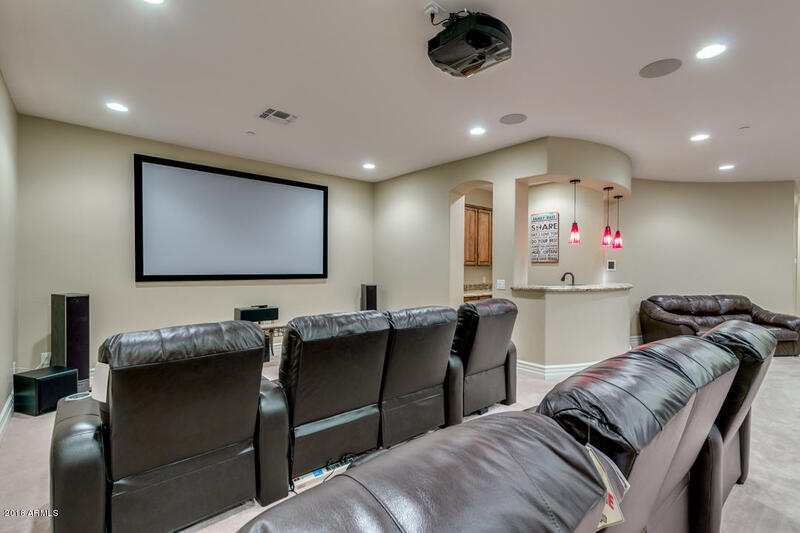 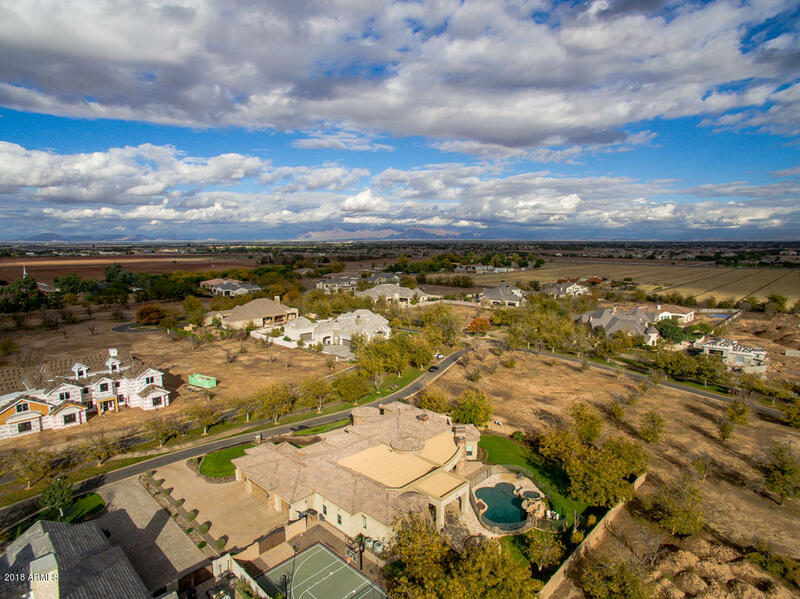 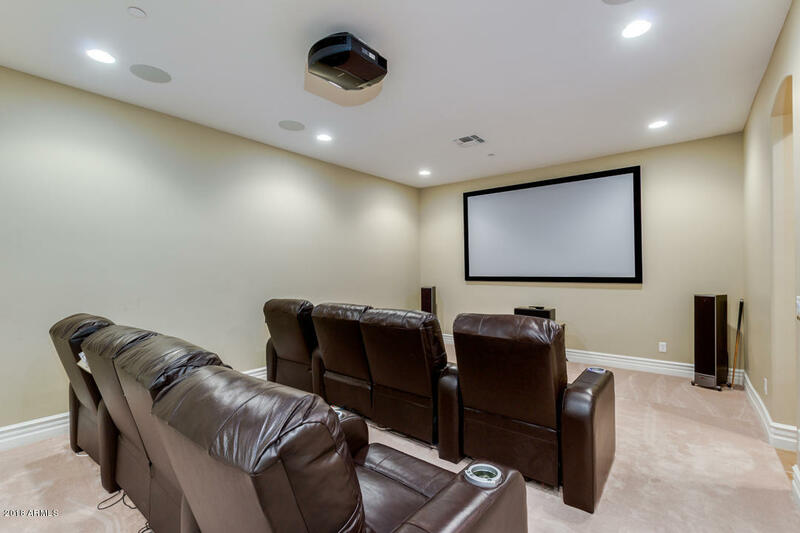 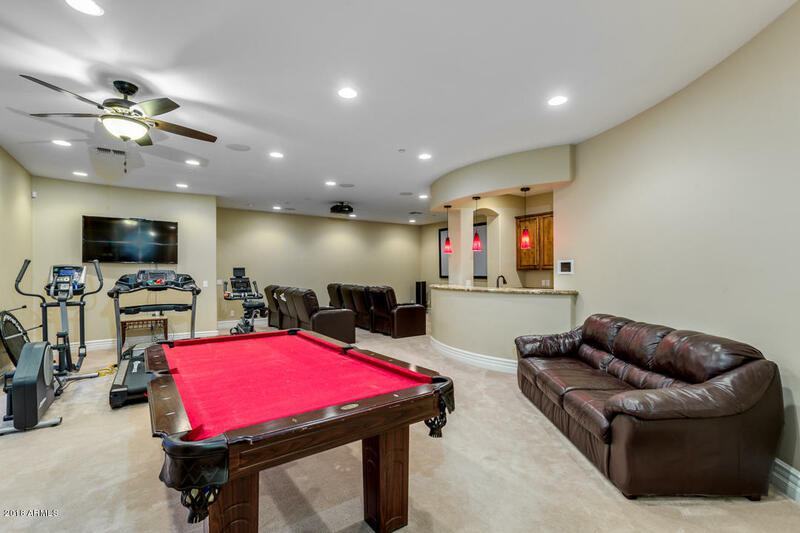 This stunning home includes living room w/fireplace & exquisite views of backyard, an incredible basement w/media room, bar & lots of space, an area perfect for a dining room w/roman pillars, spacious family room w/coffered ceilings, and den ideal for an office w/wood floor. 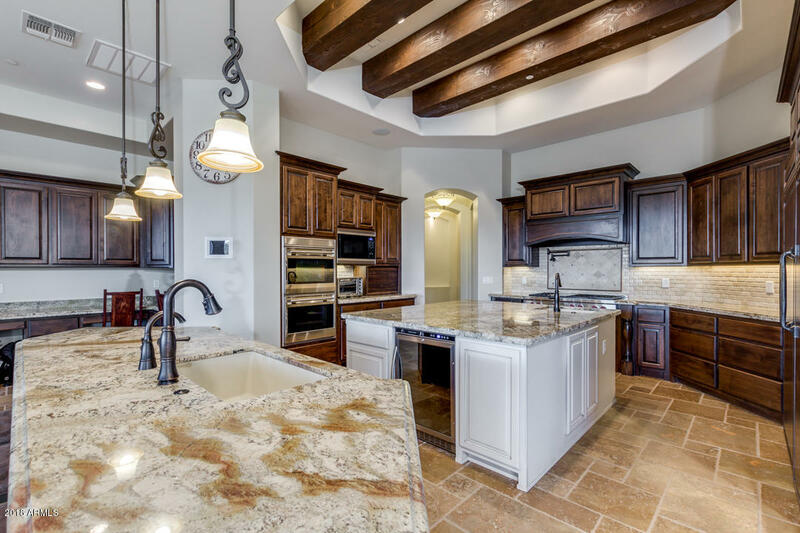 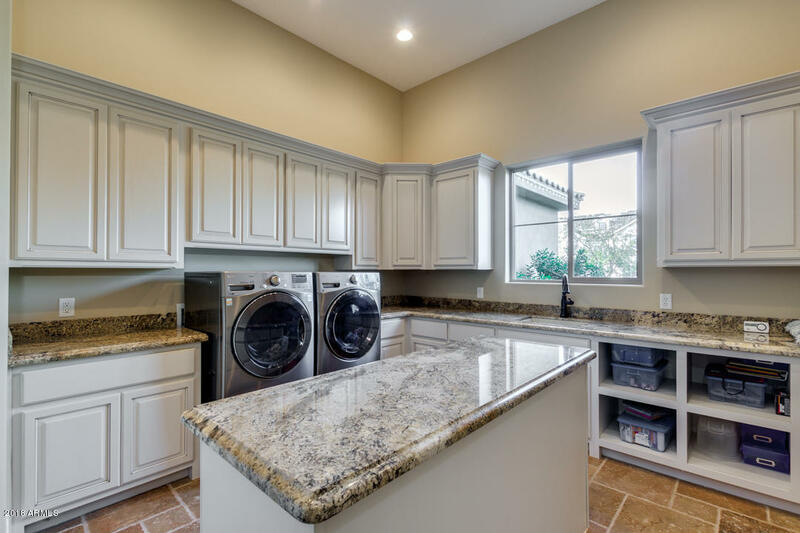 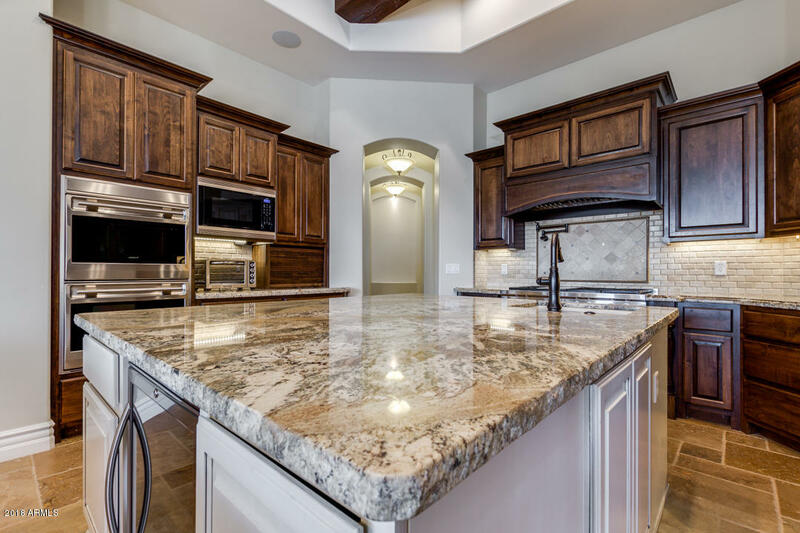 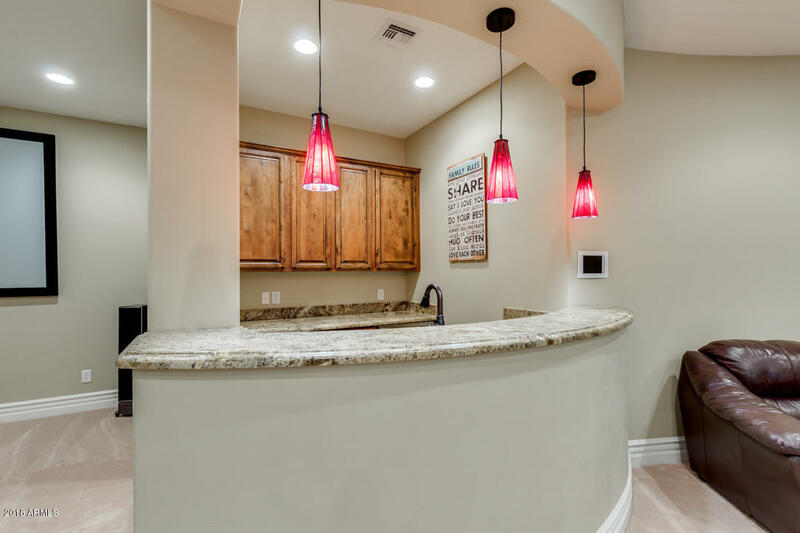 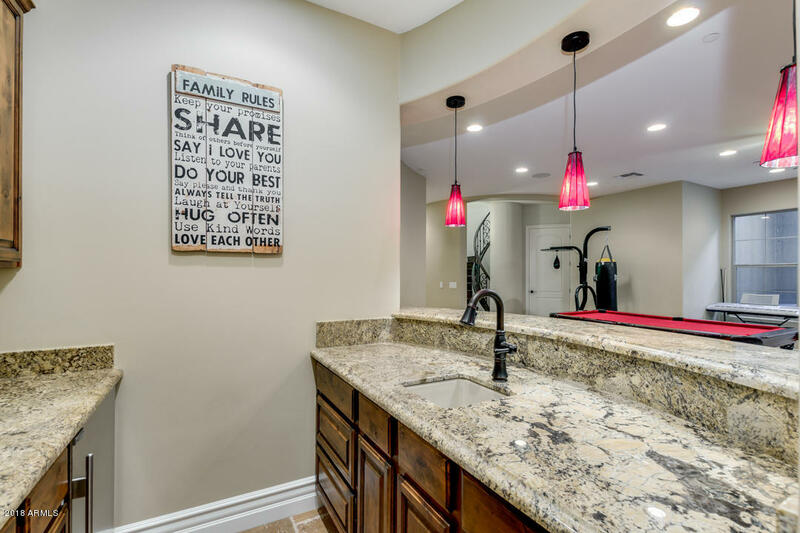 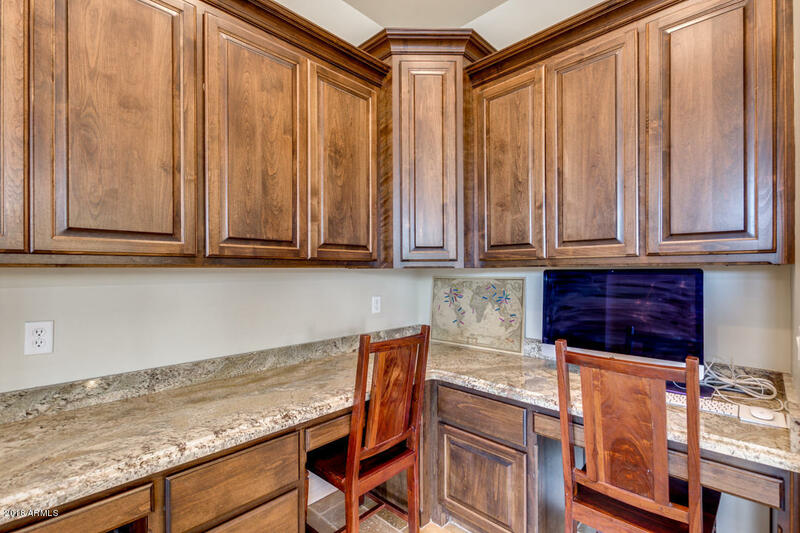 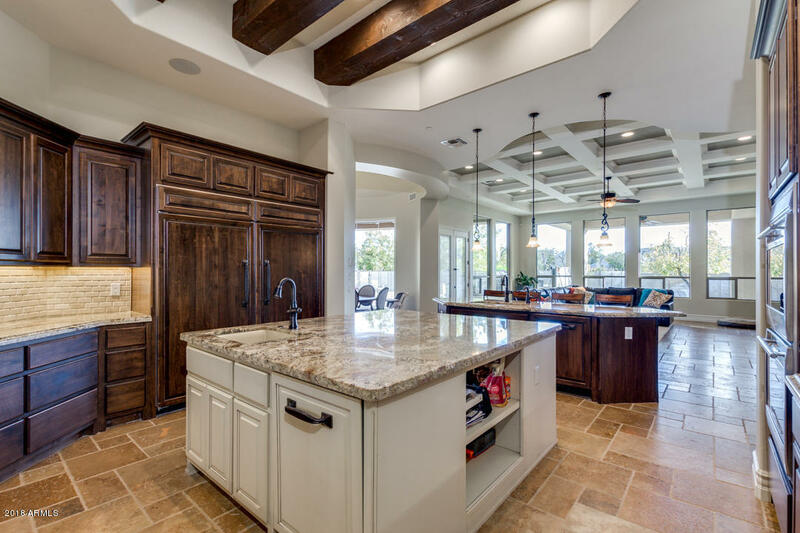 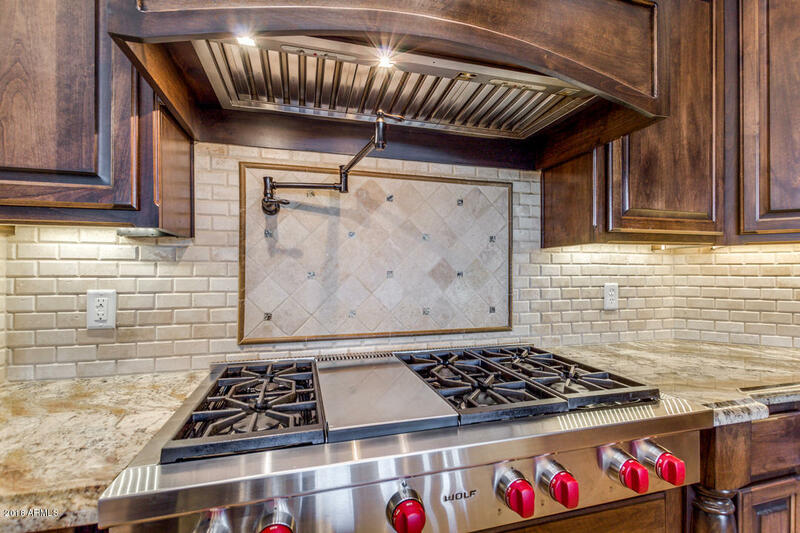 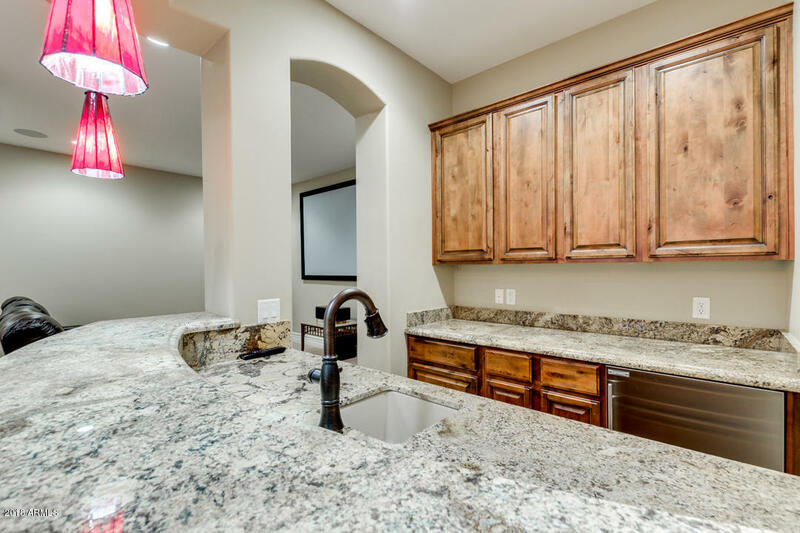 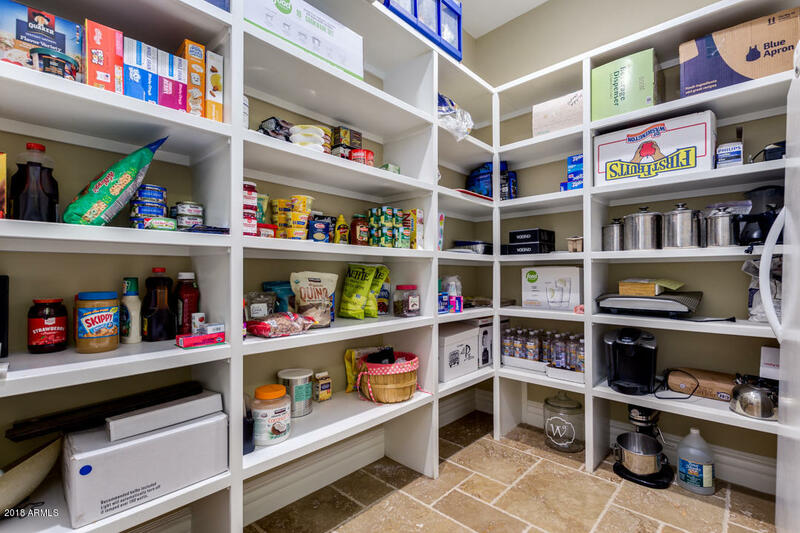 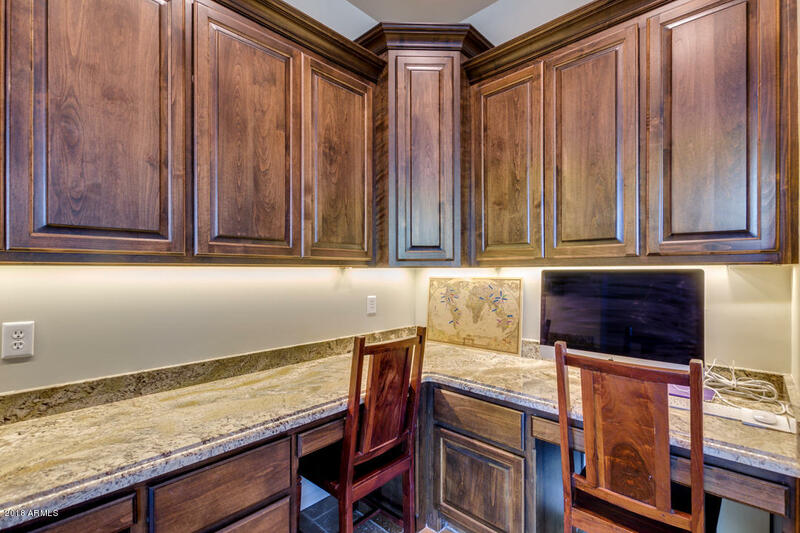 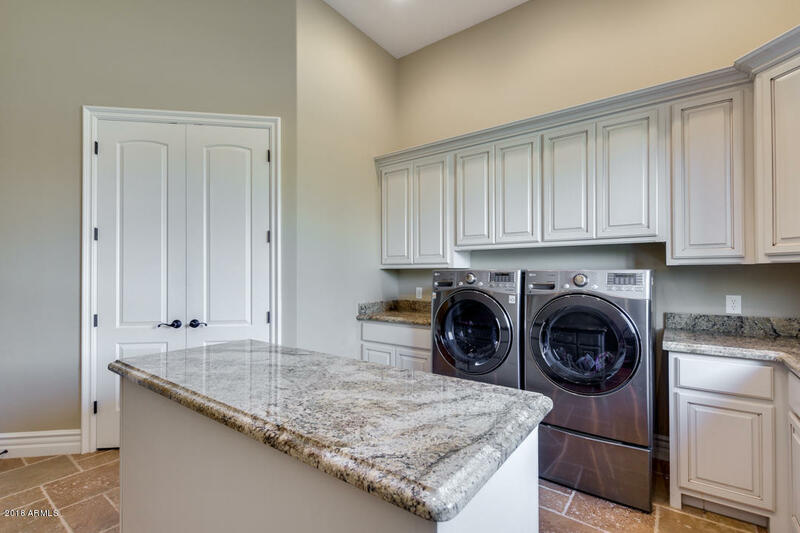 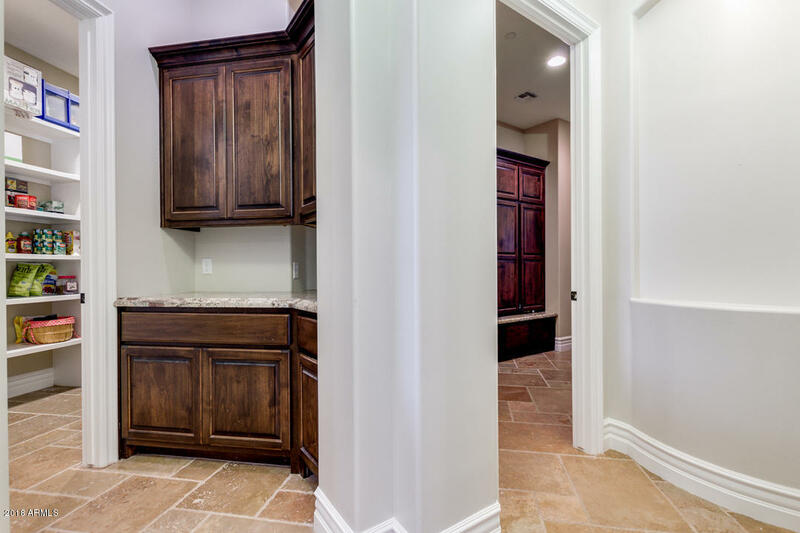 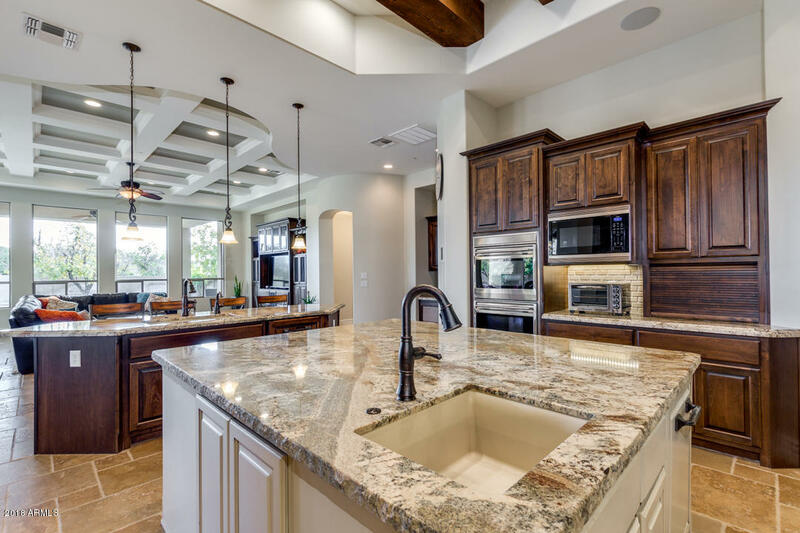 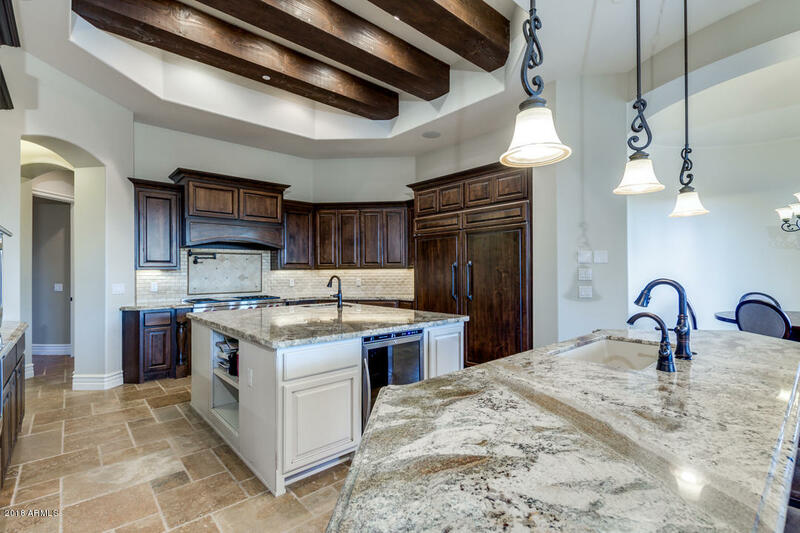 The dream kitchen has granite counters, walk-in pantry, breakfast bar, center island, tile back splash, and SS appliances. 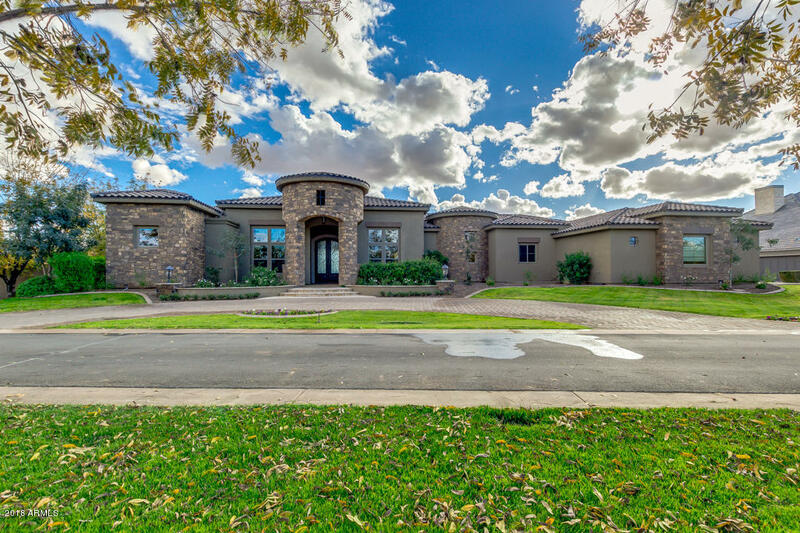 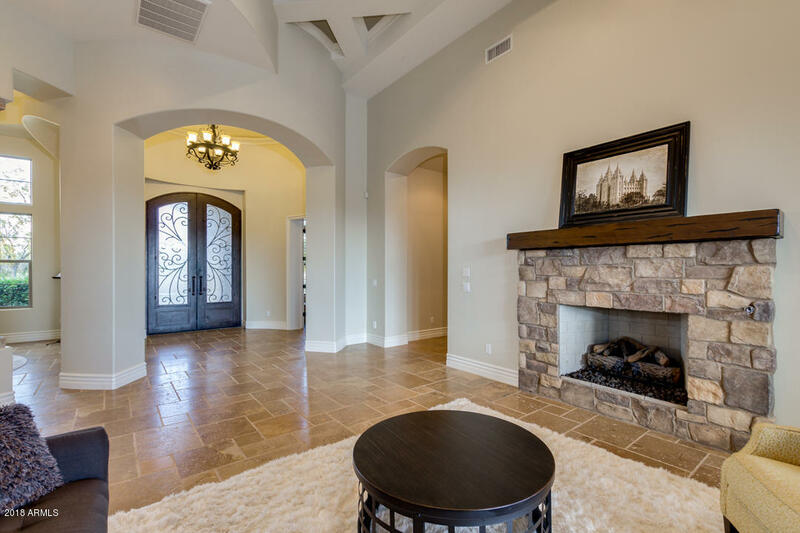 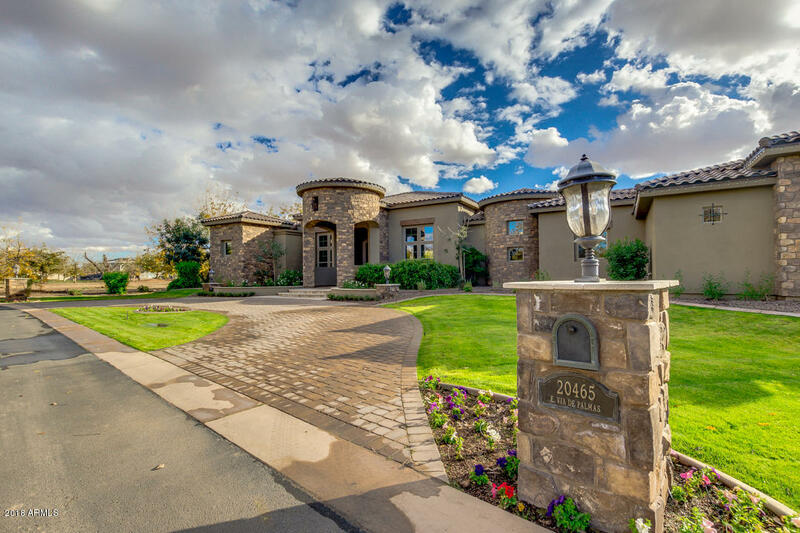 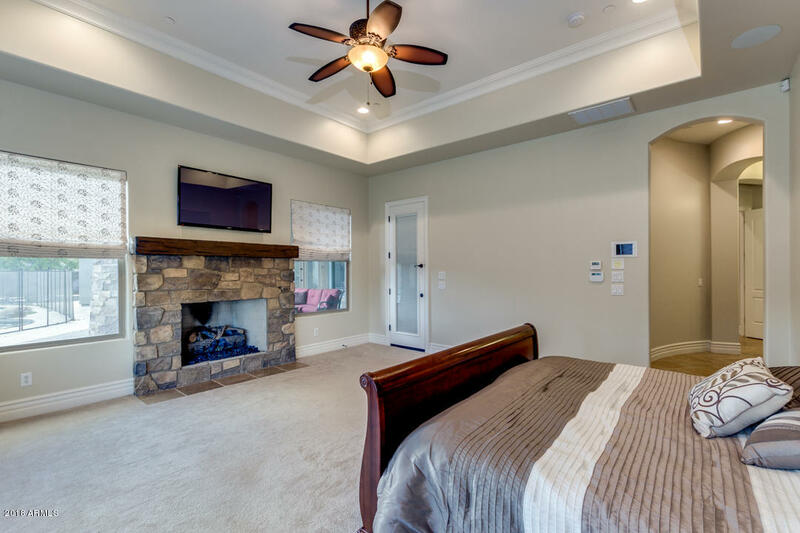 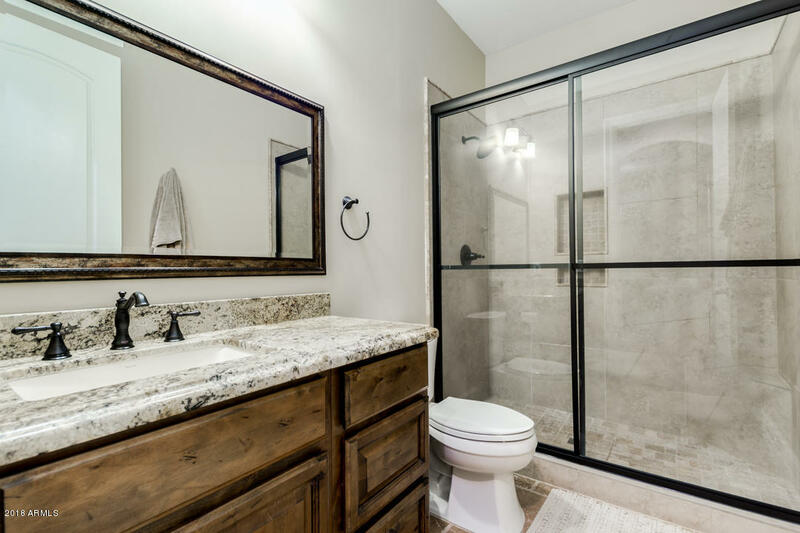 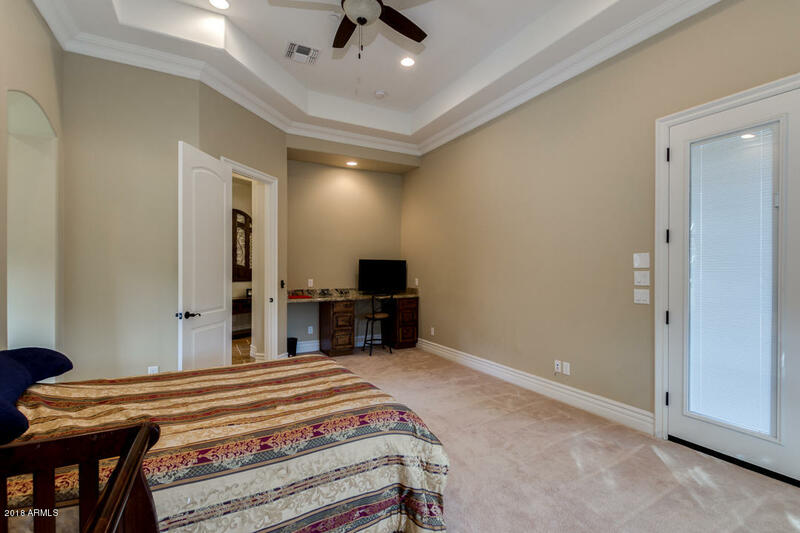 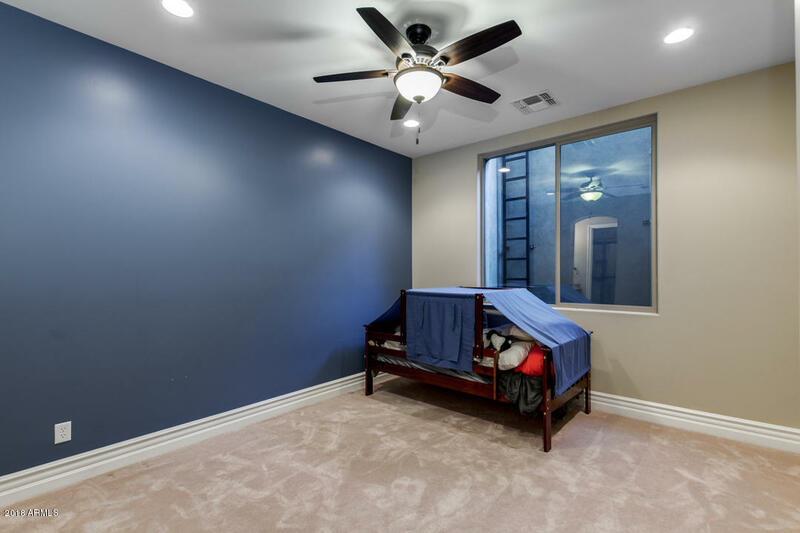 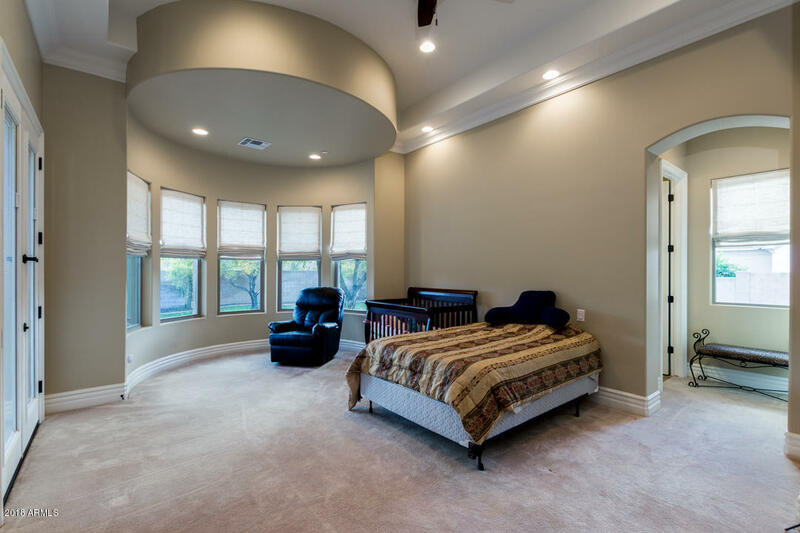 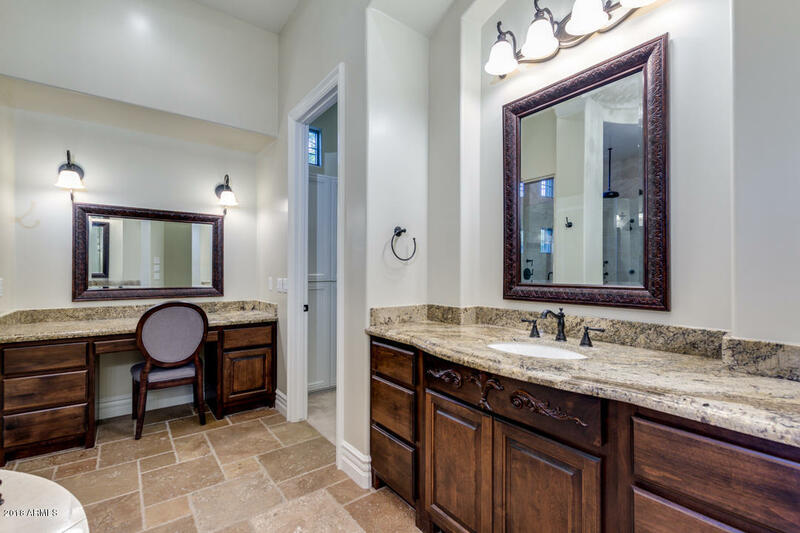 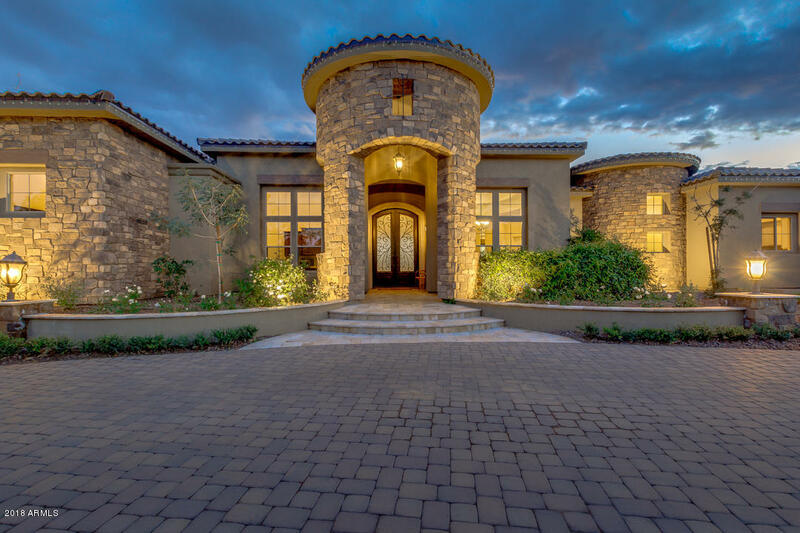 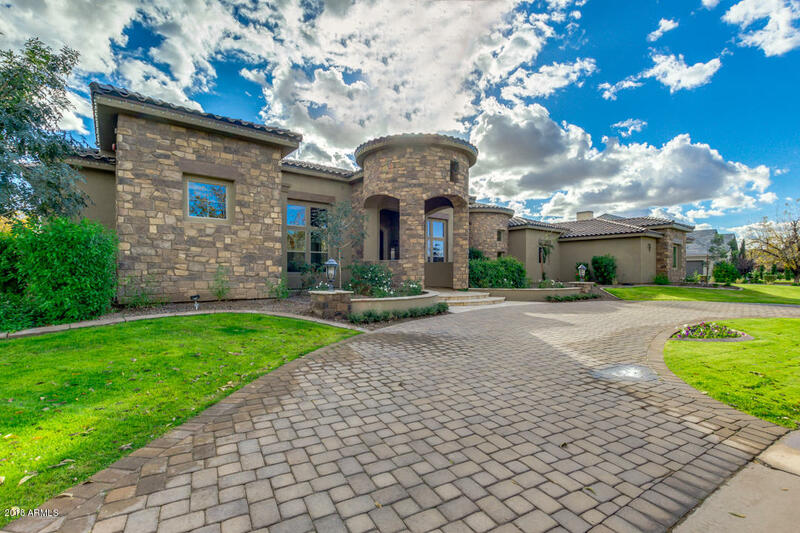 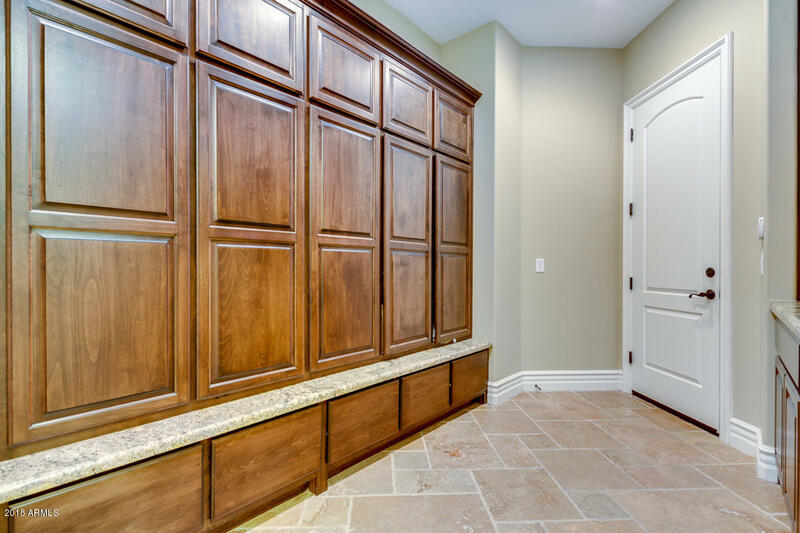 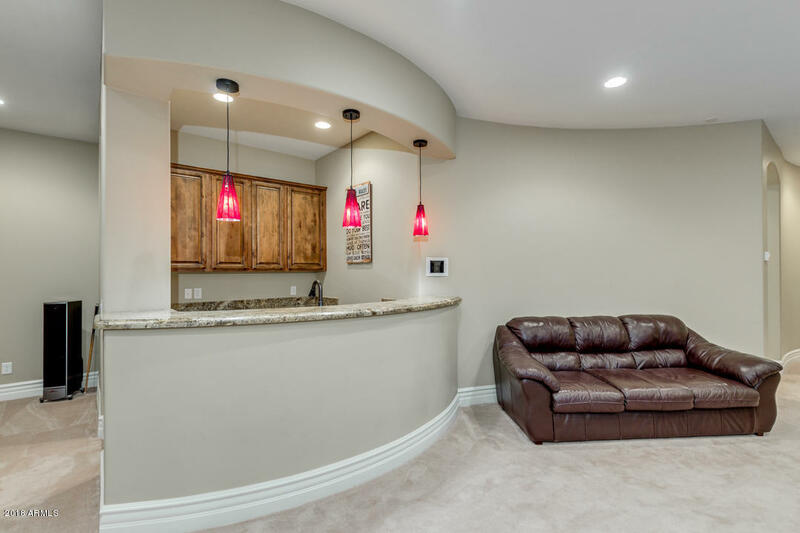 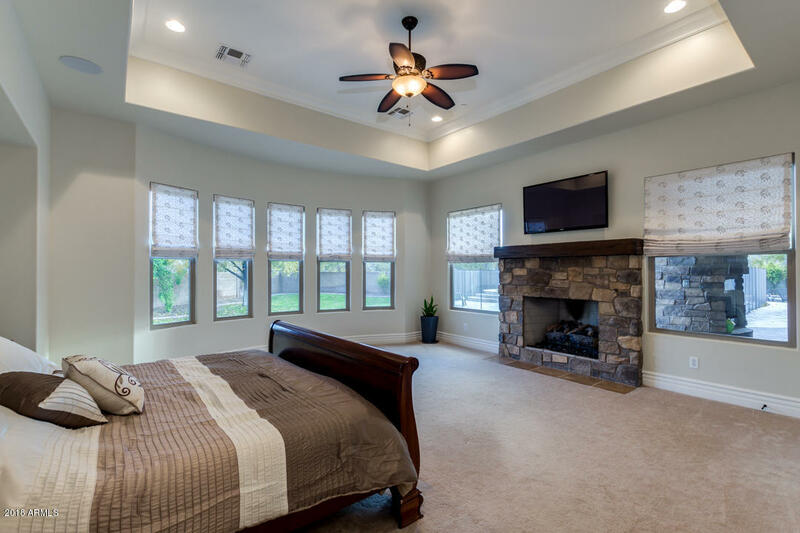 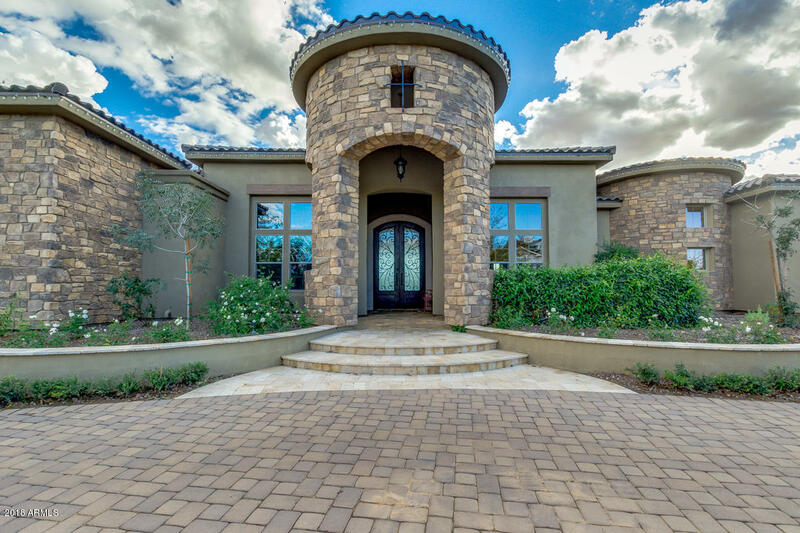 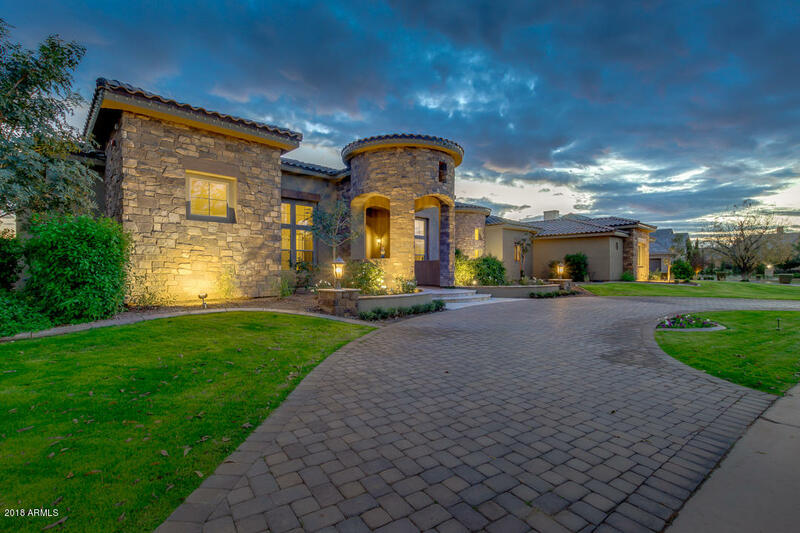 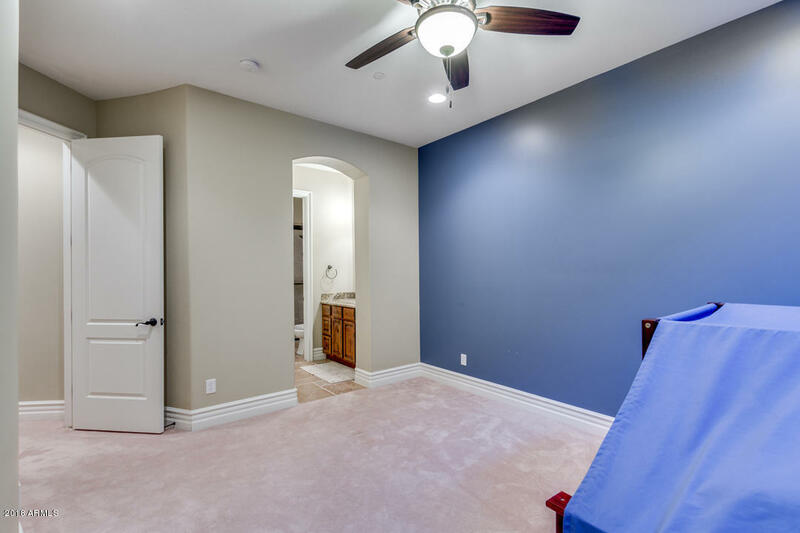 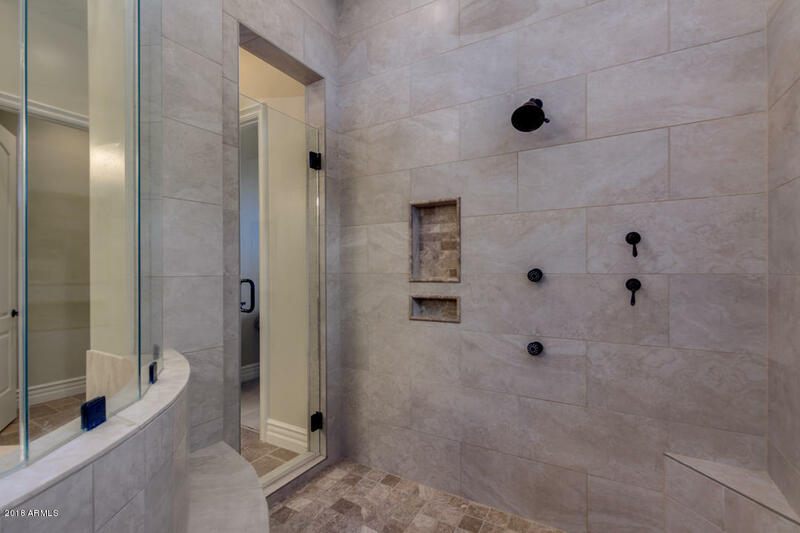 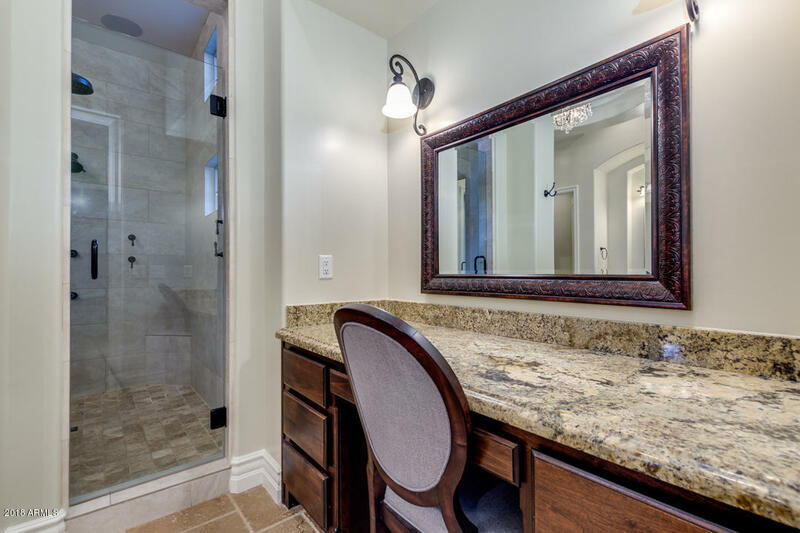 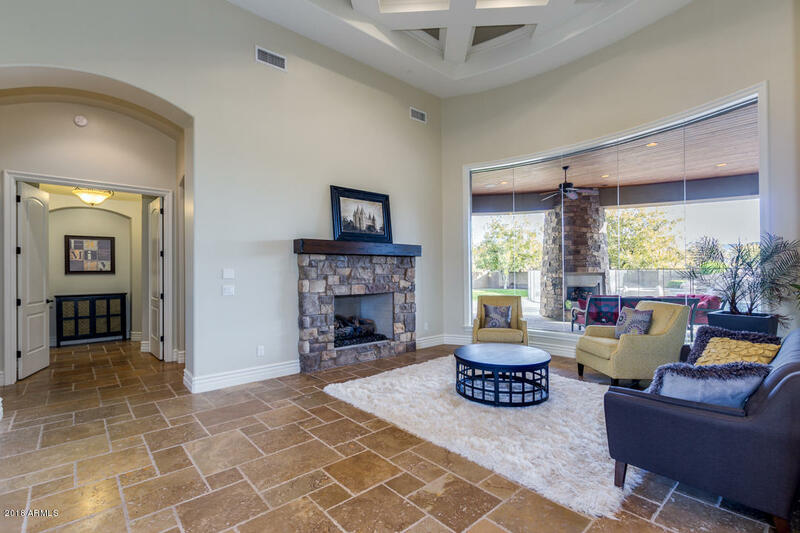 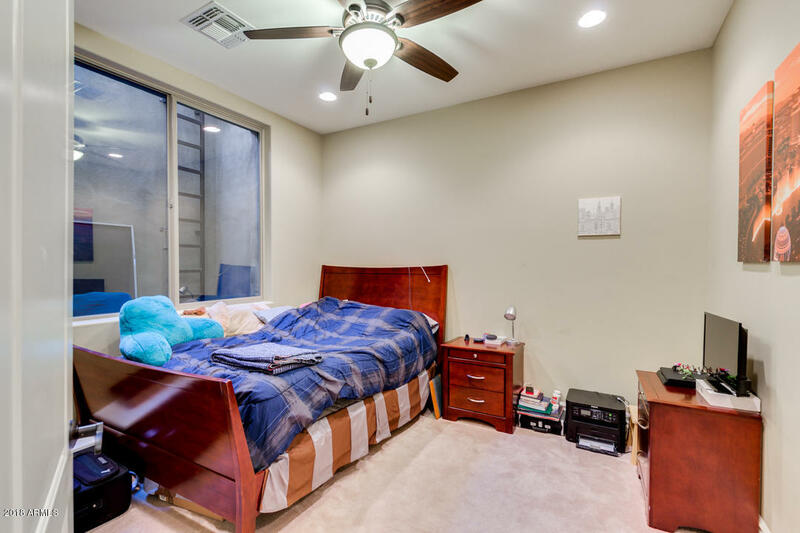 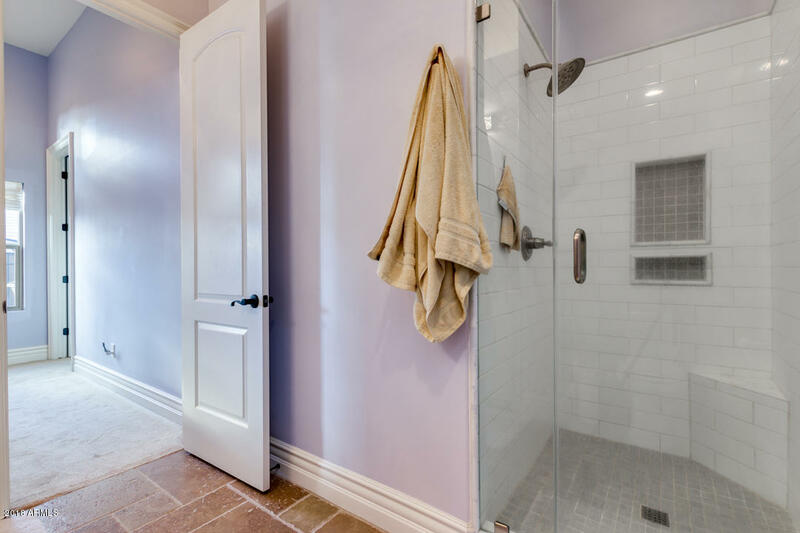 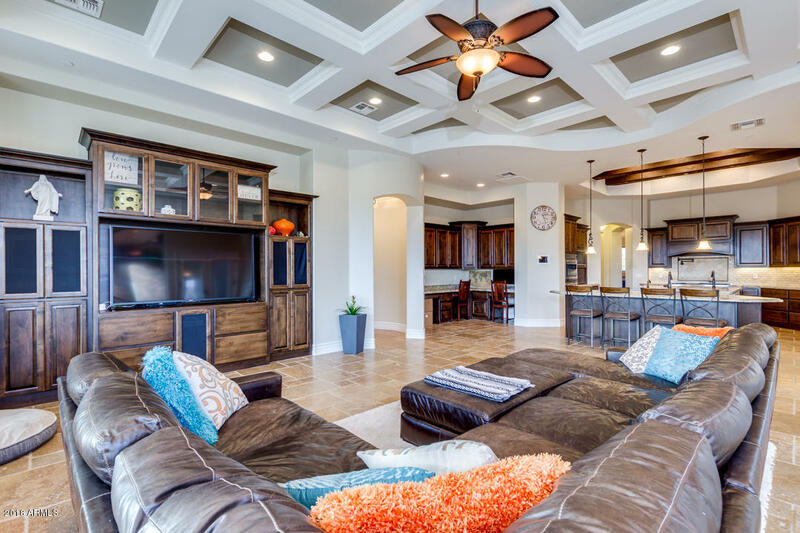 Grand master retreat boasts stone accented fireplace and spa-like bath w/soaking tub, makeup vanity, his & her sinks, large walk-in closet, and step-in shower. 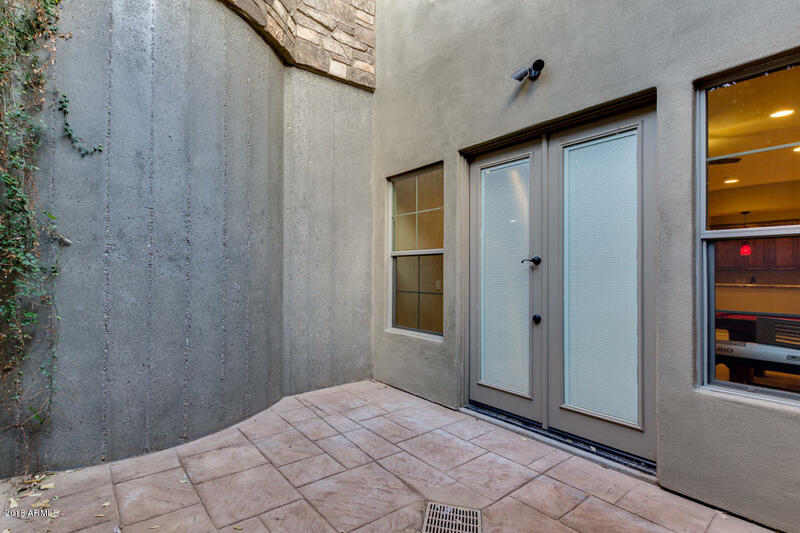 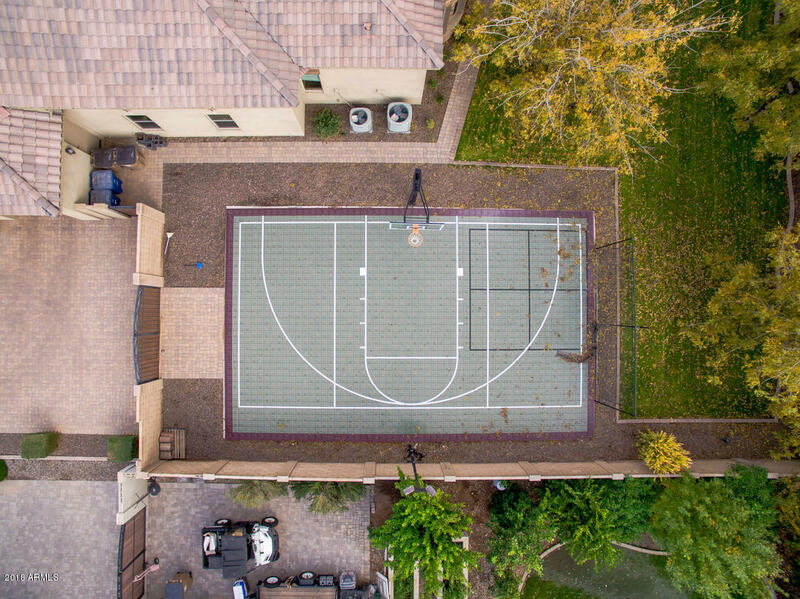 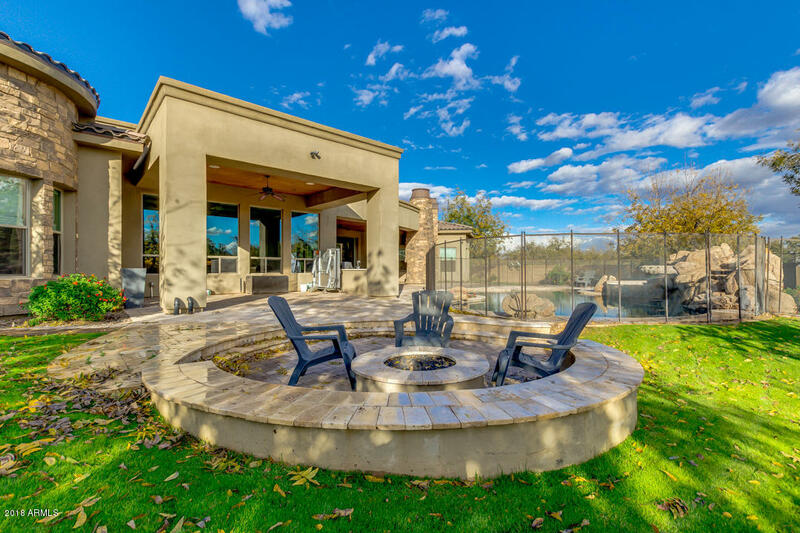 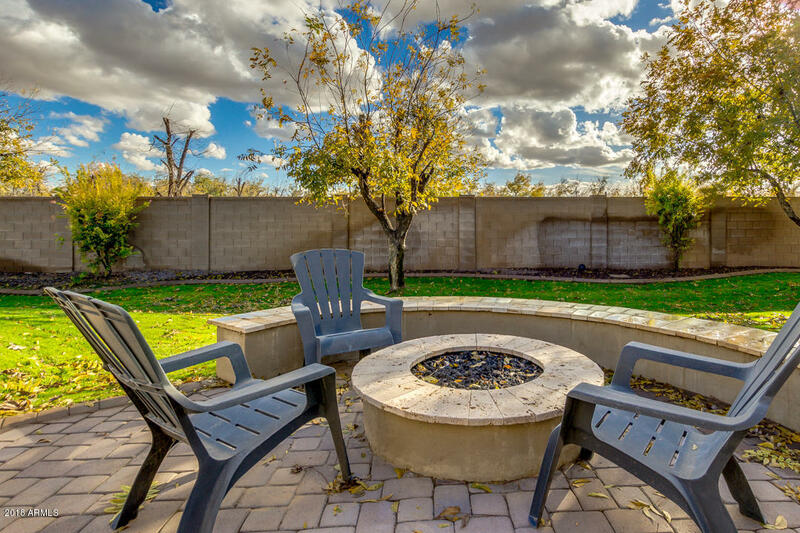 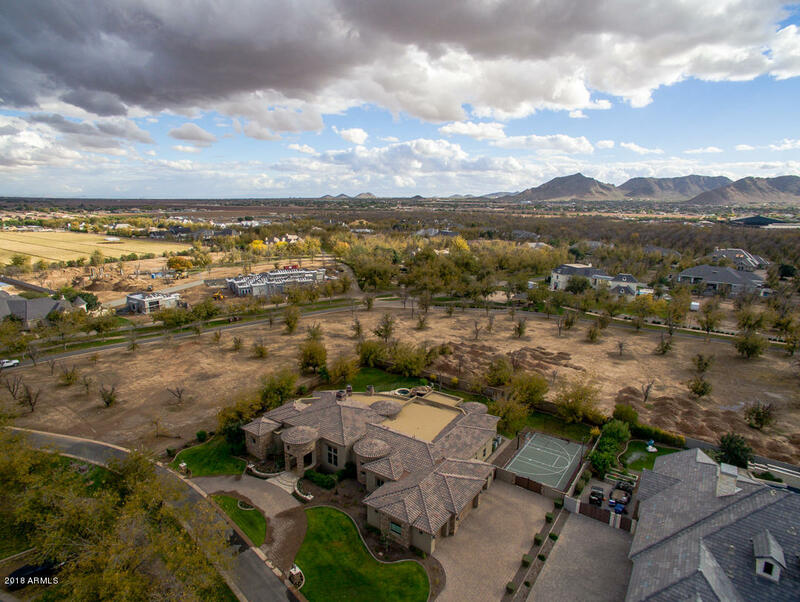 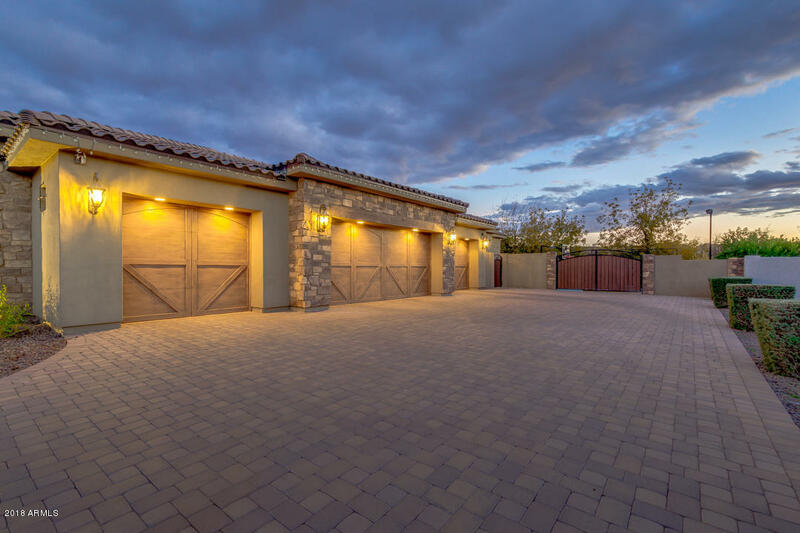 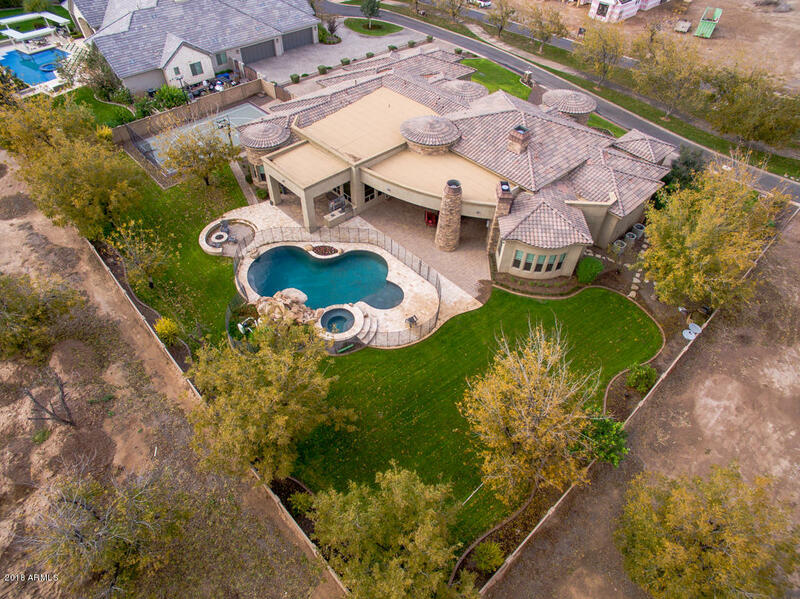 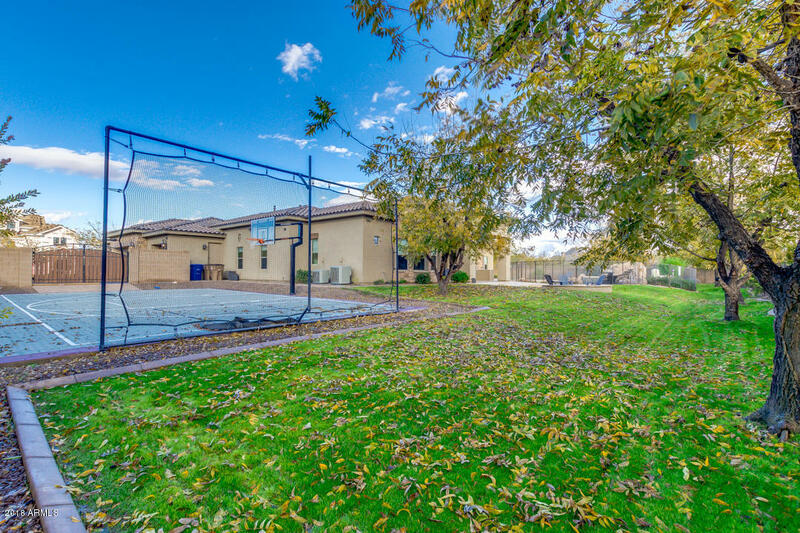 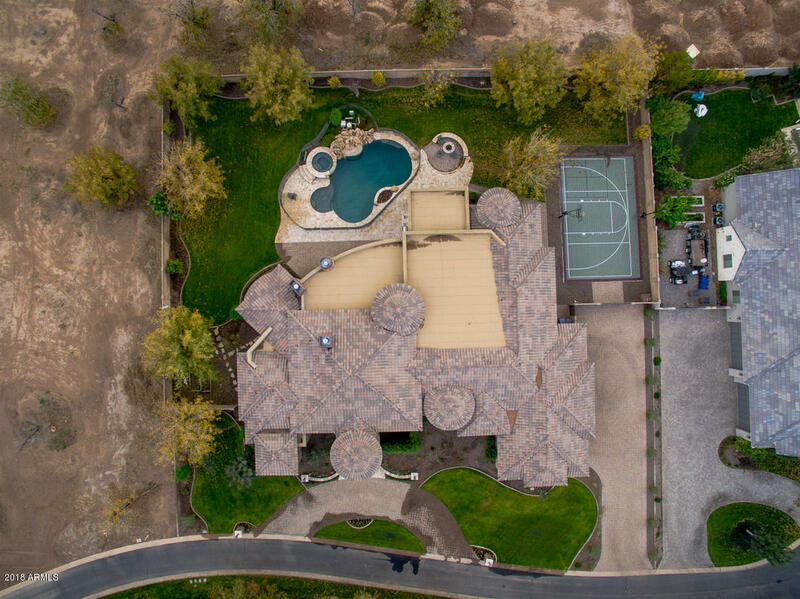 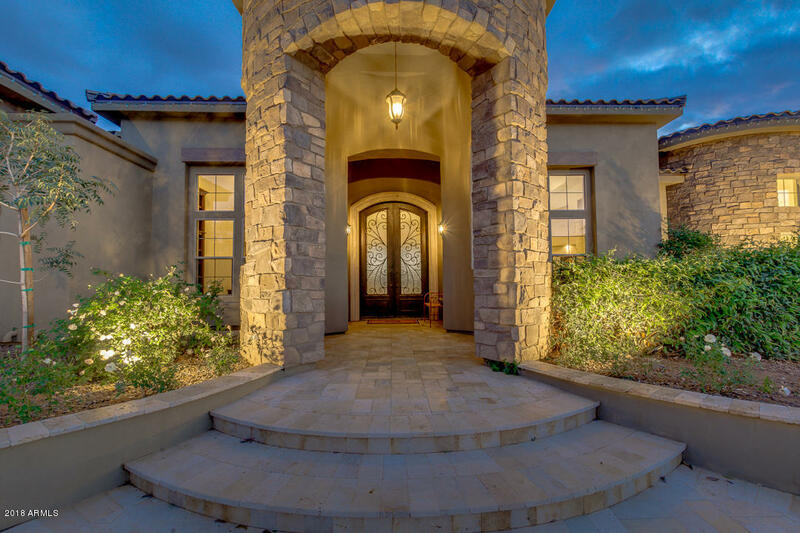 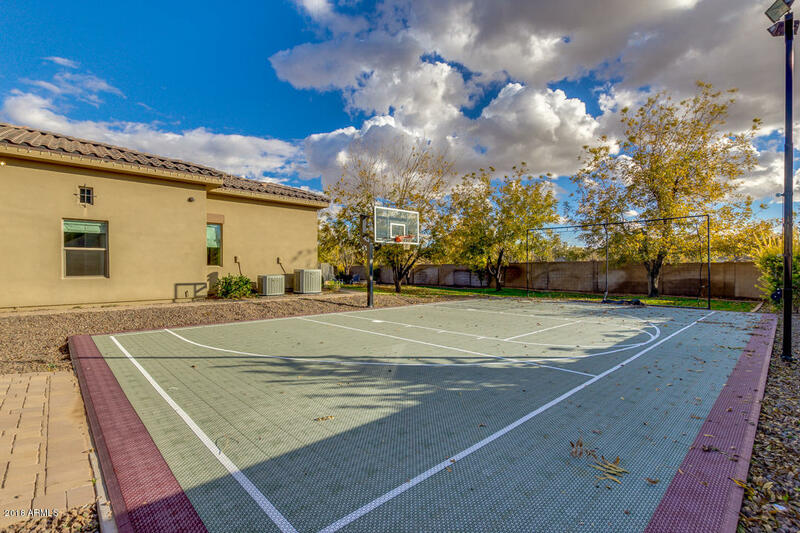 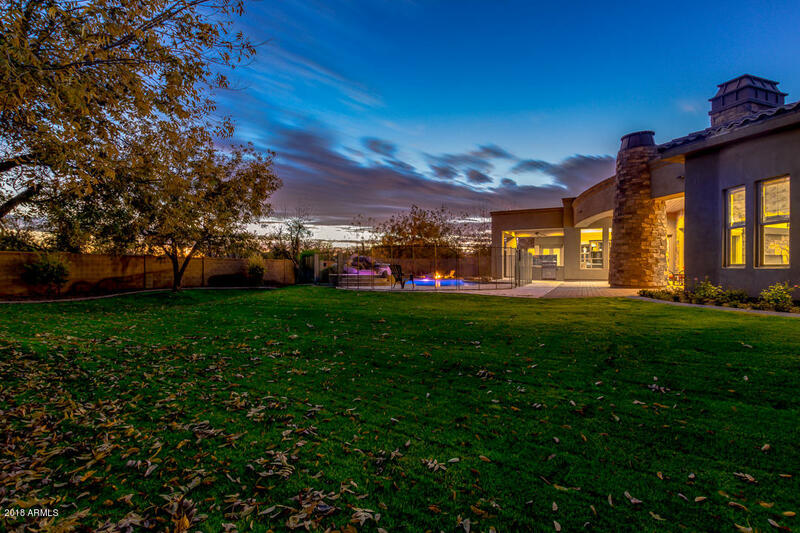 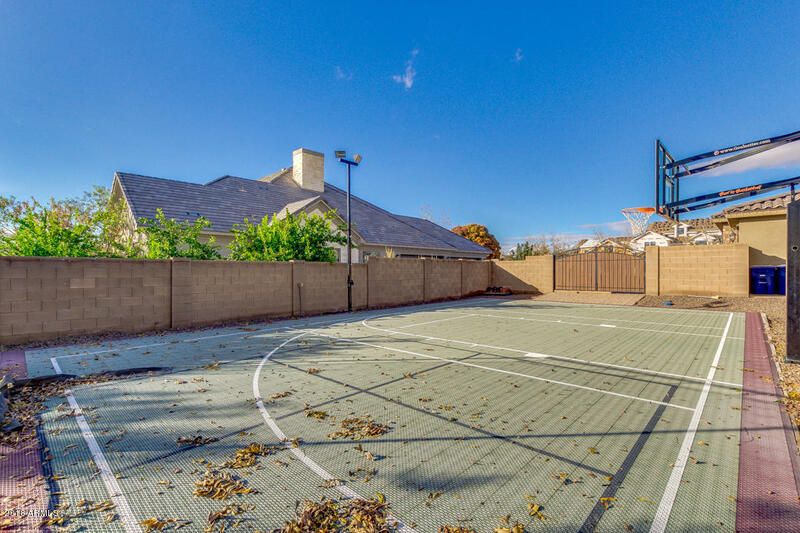 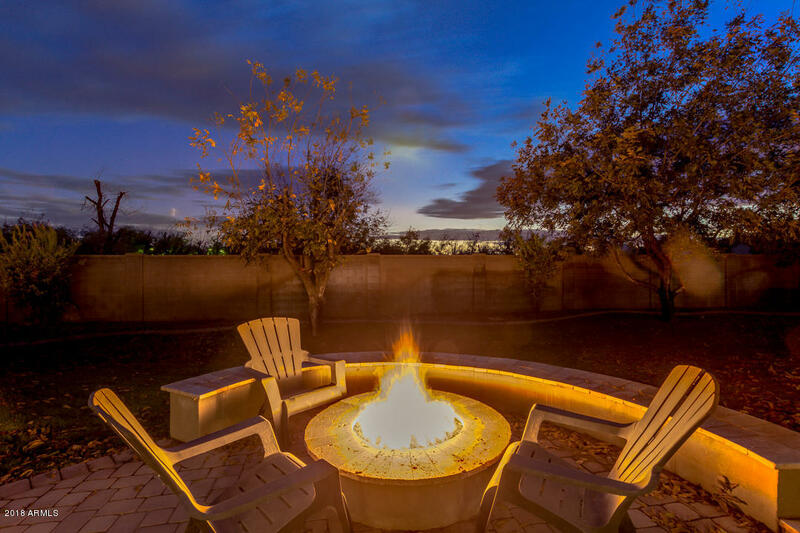 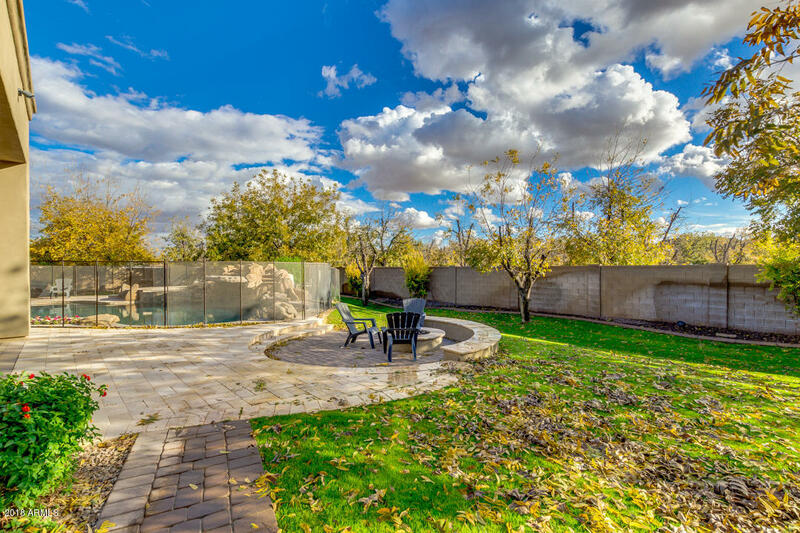 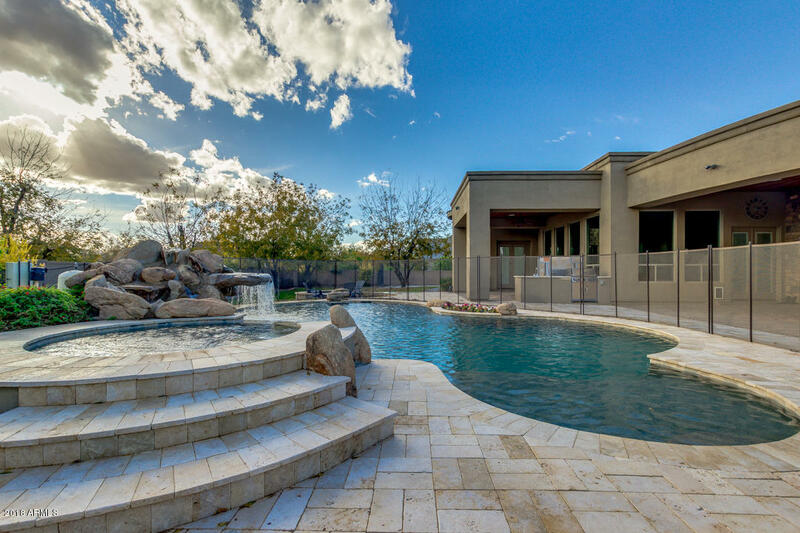 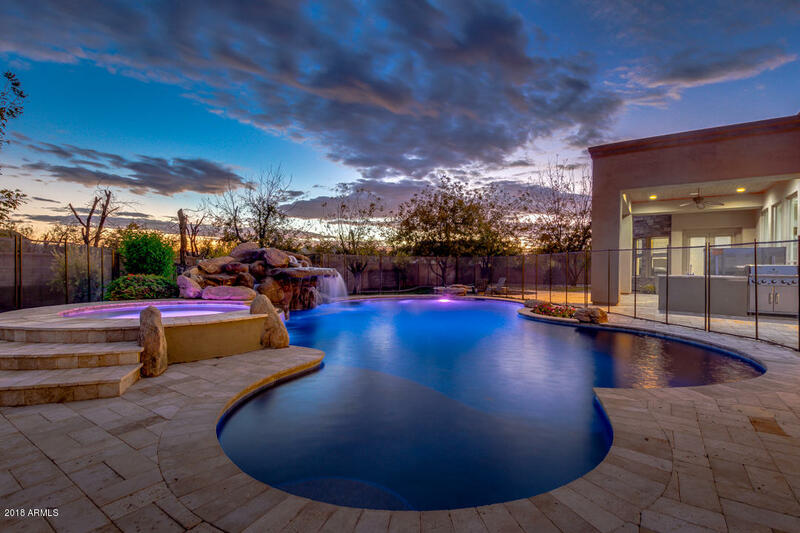 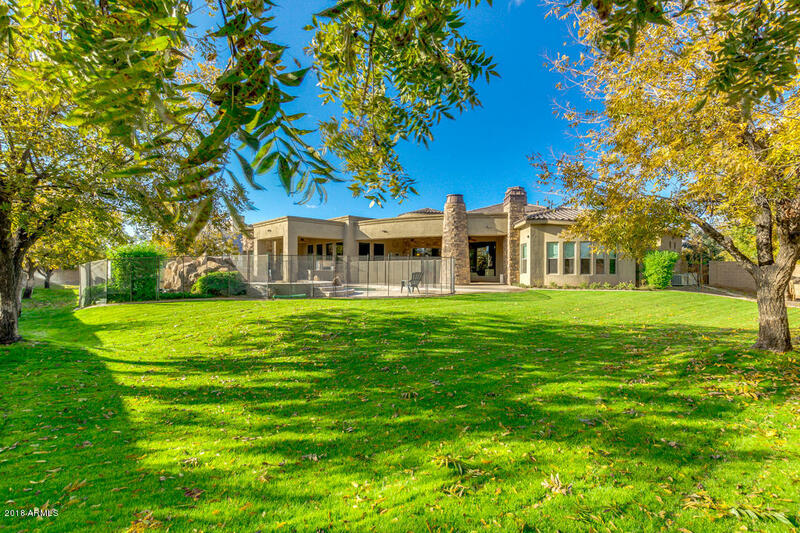 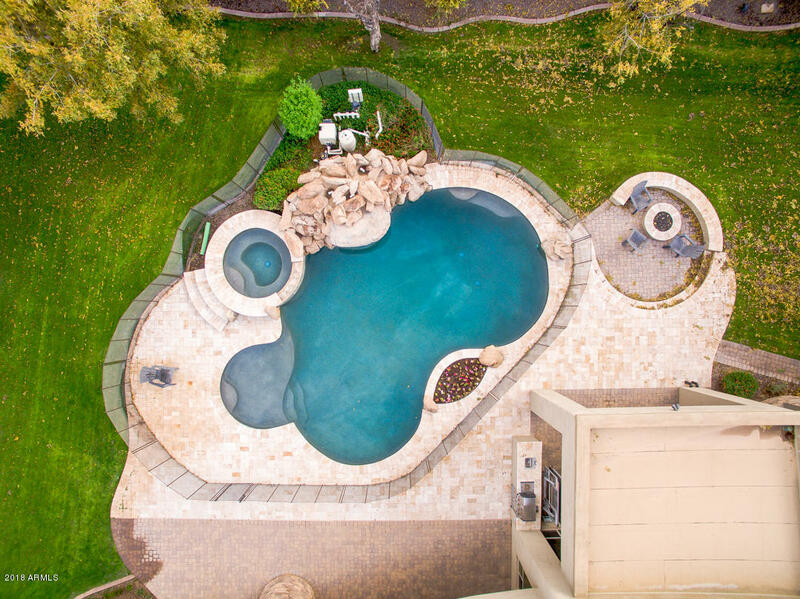 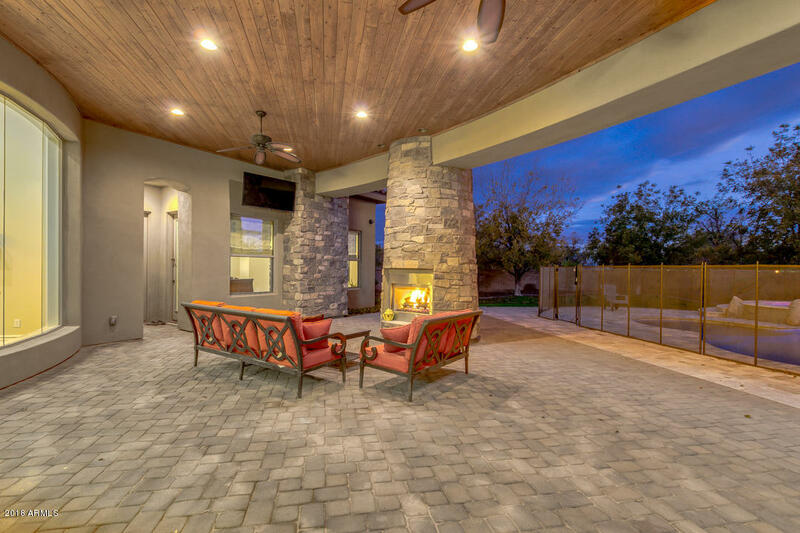 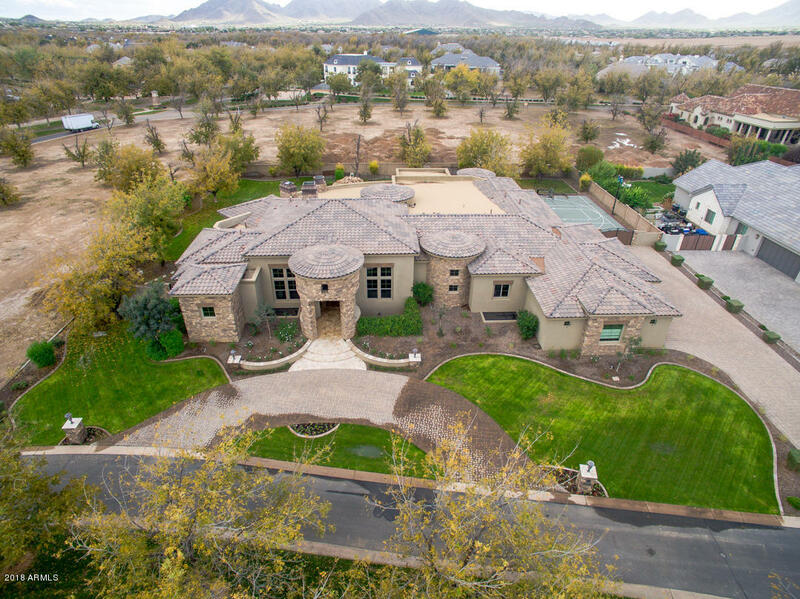 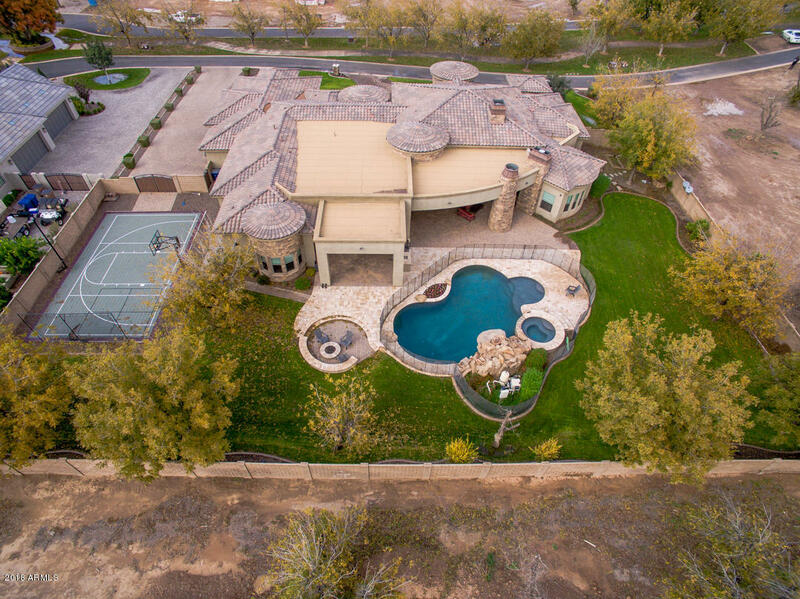 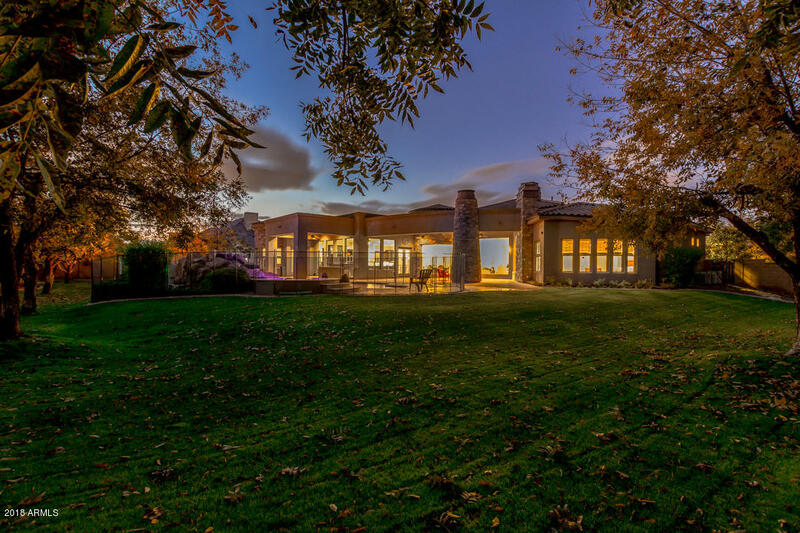 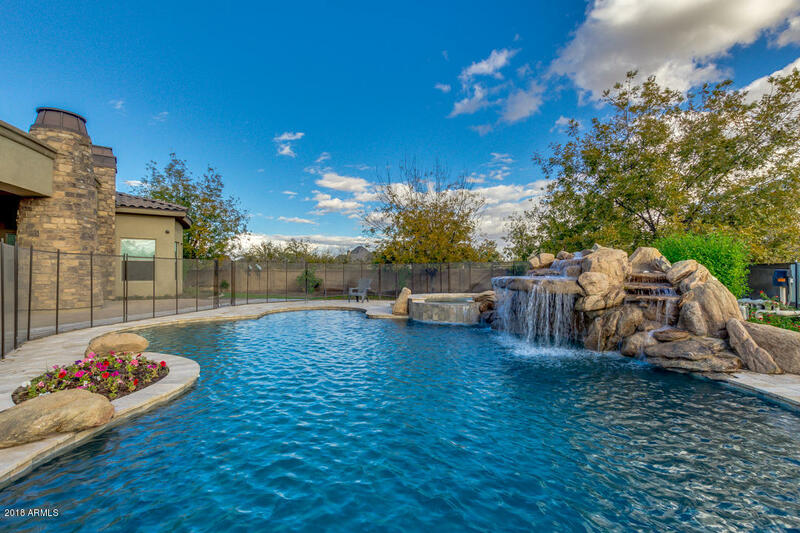 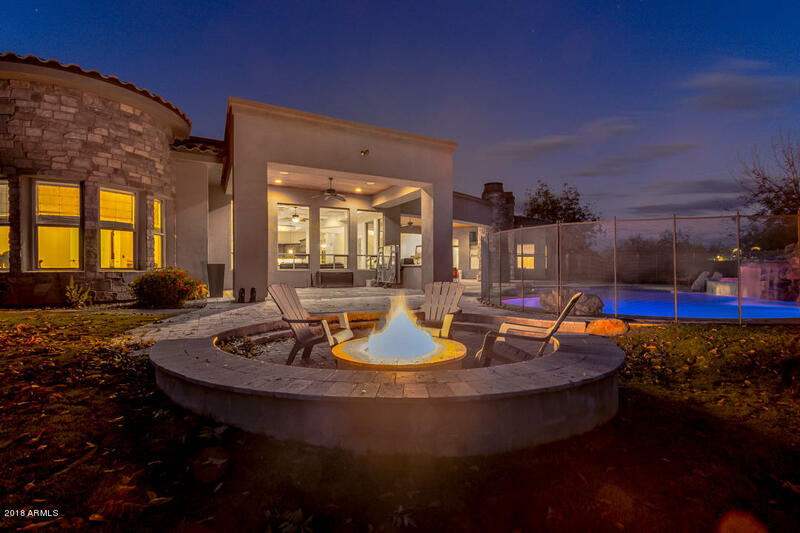 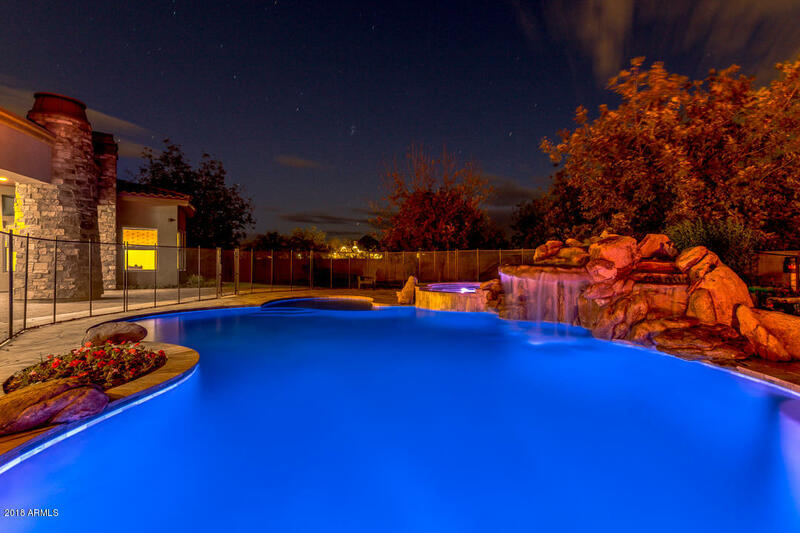 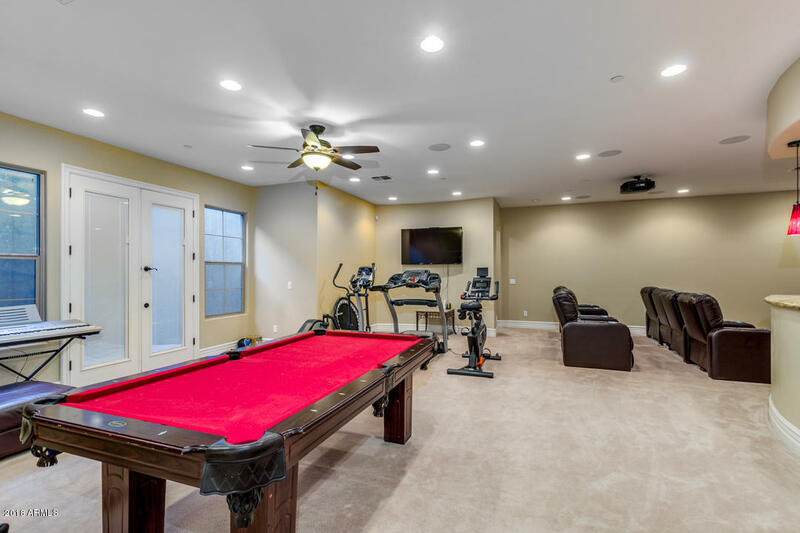 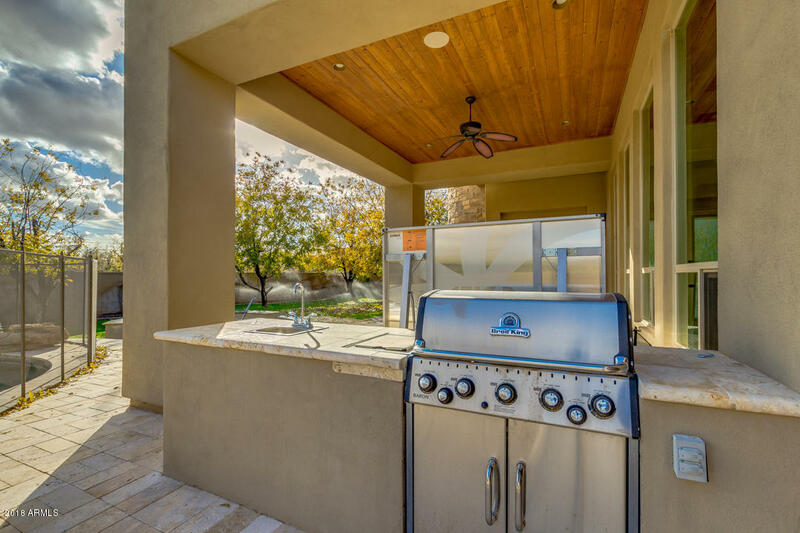 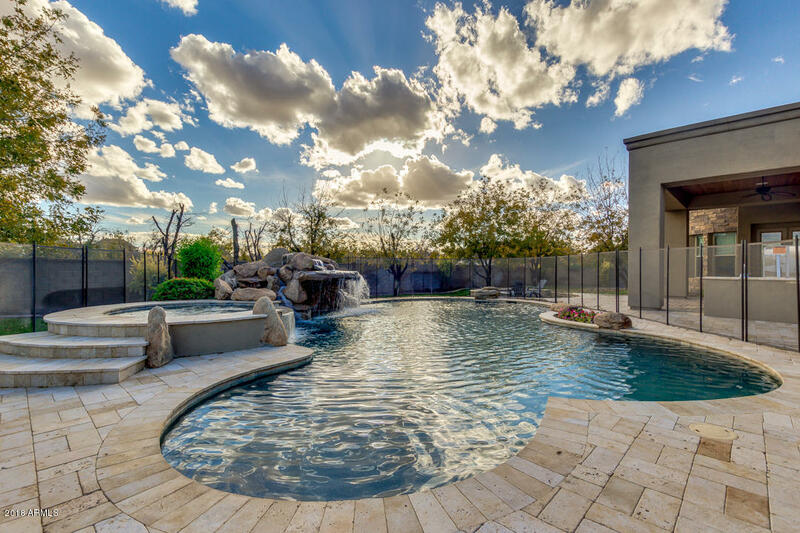 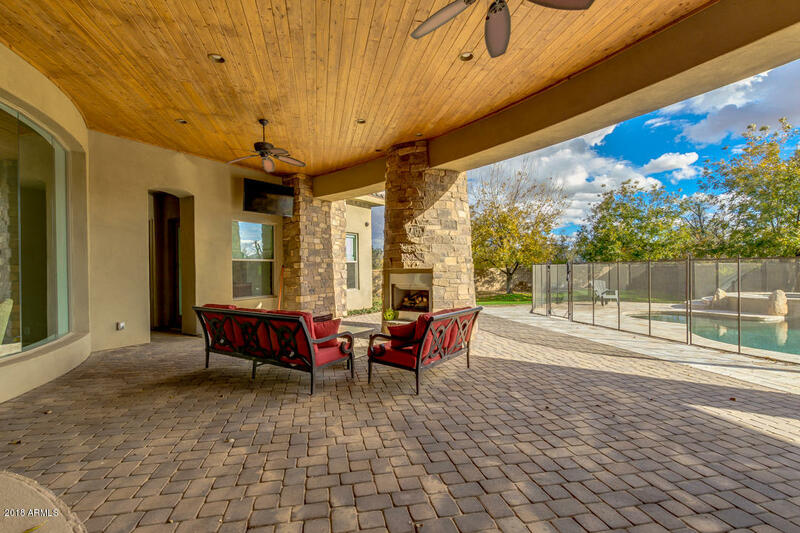 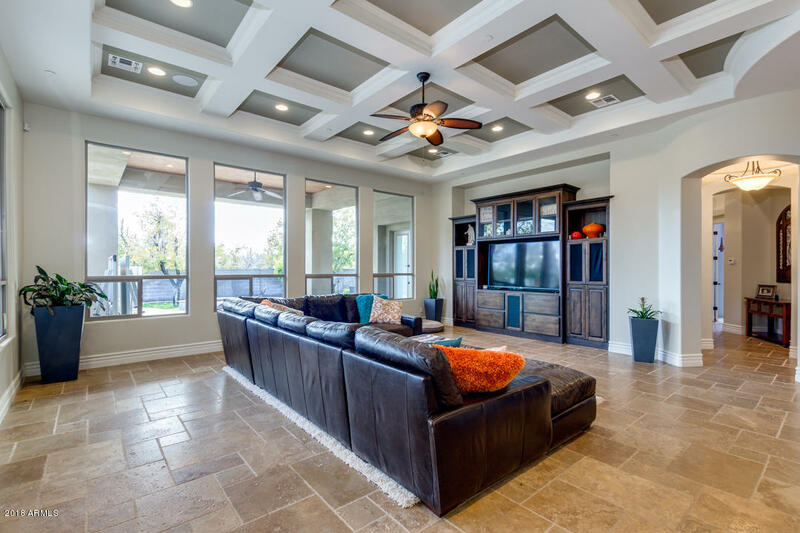 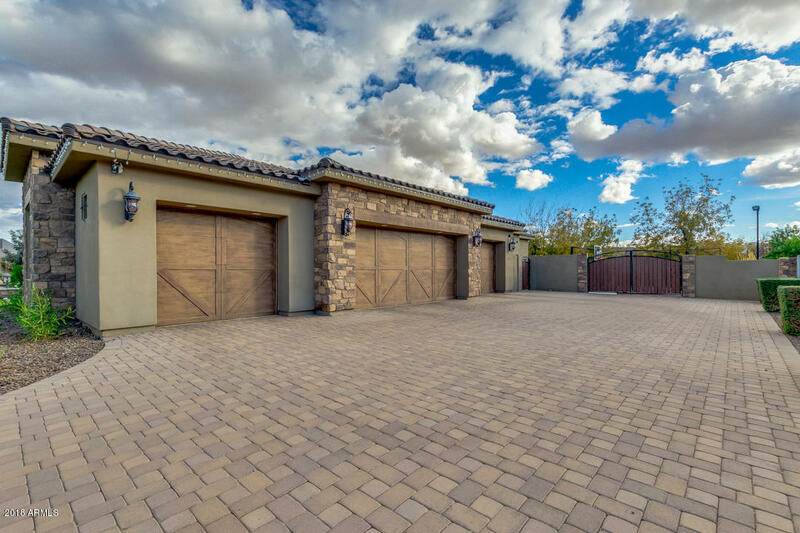 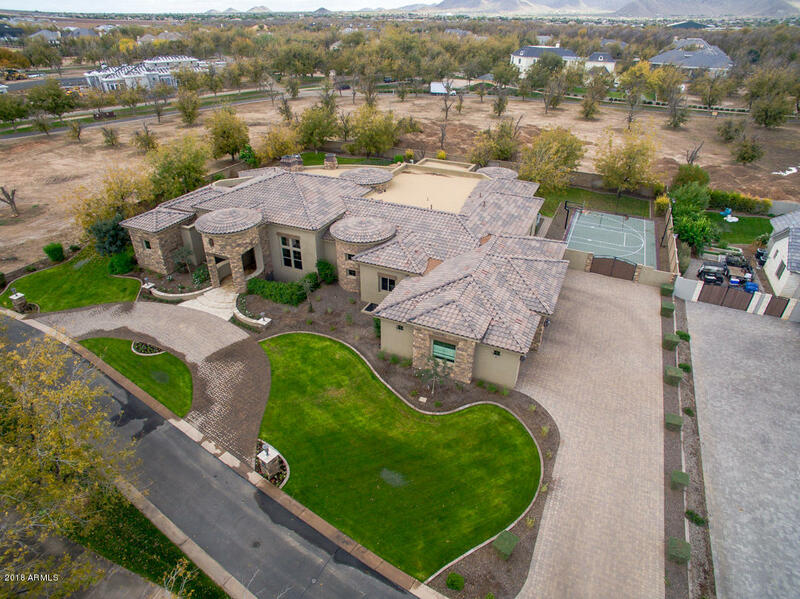 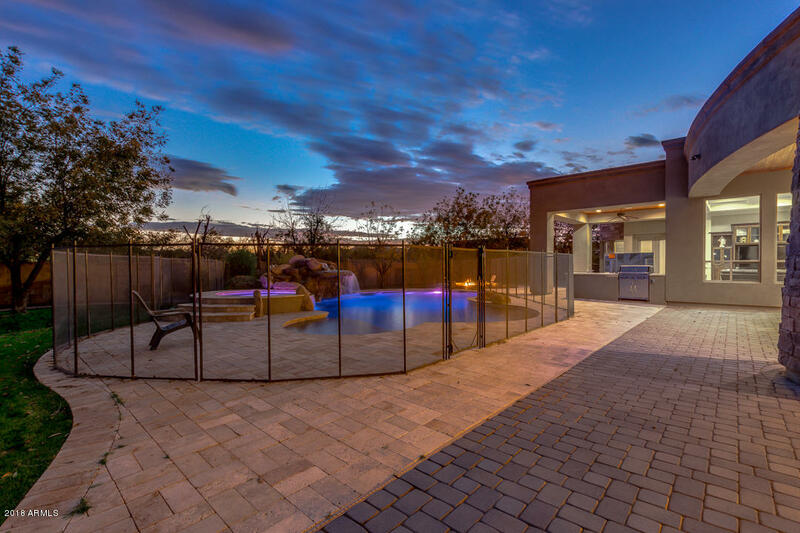 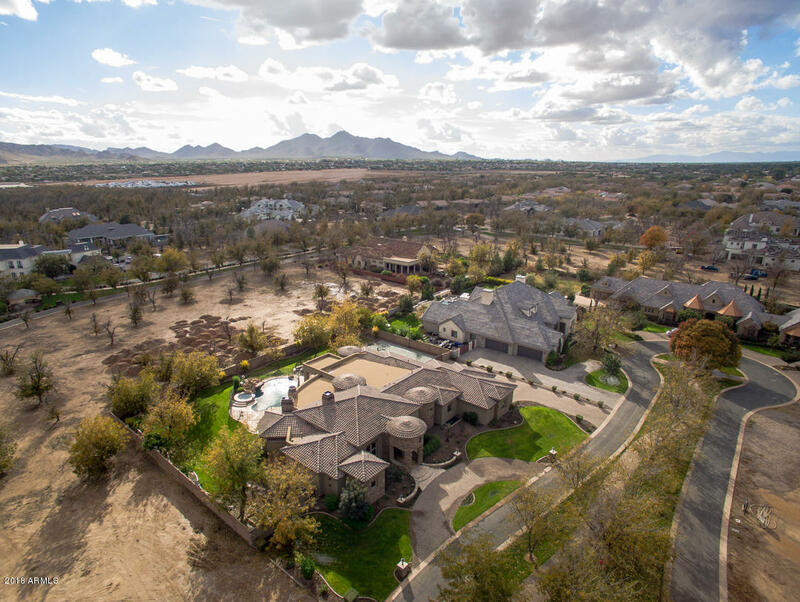 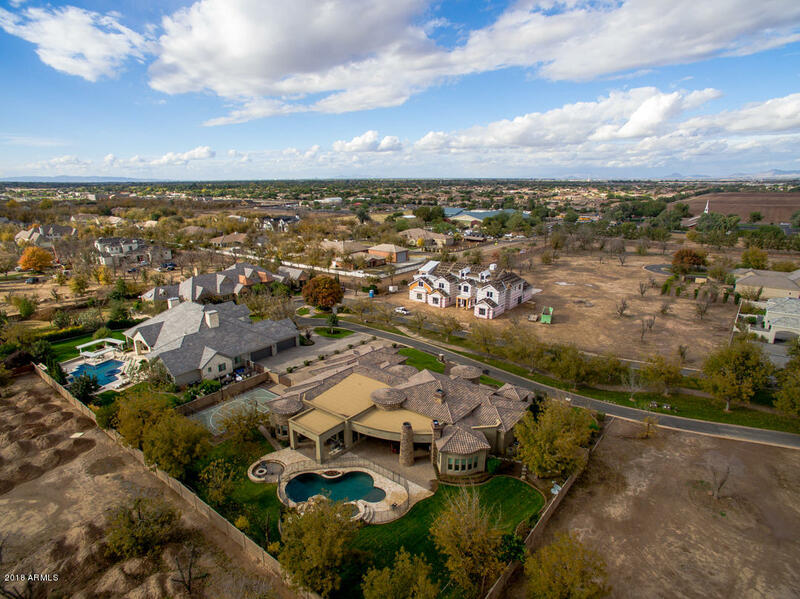 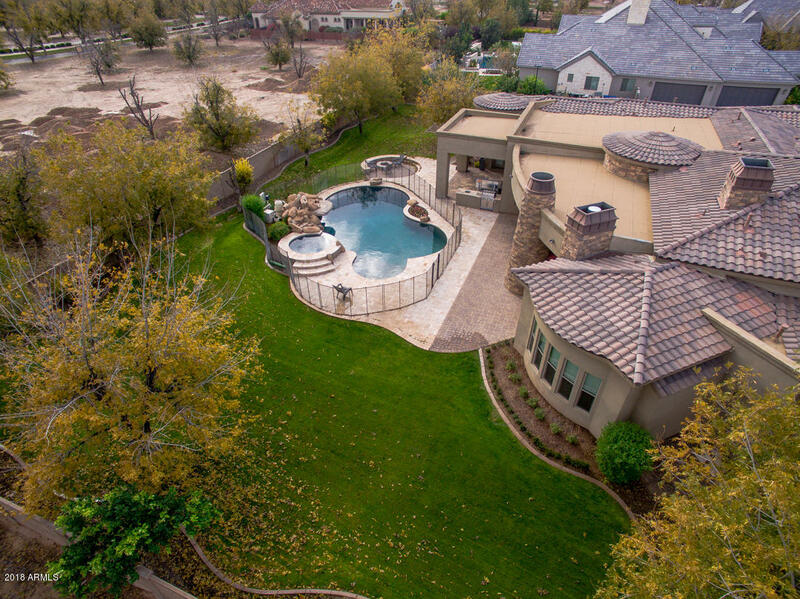 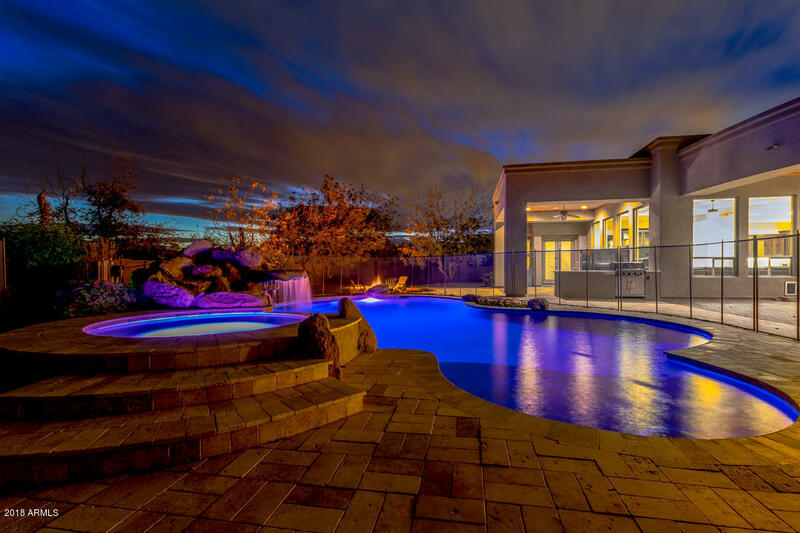 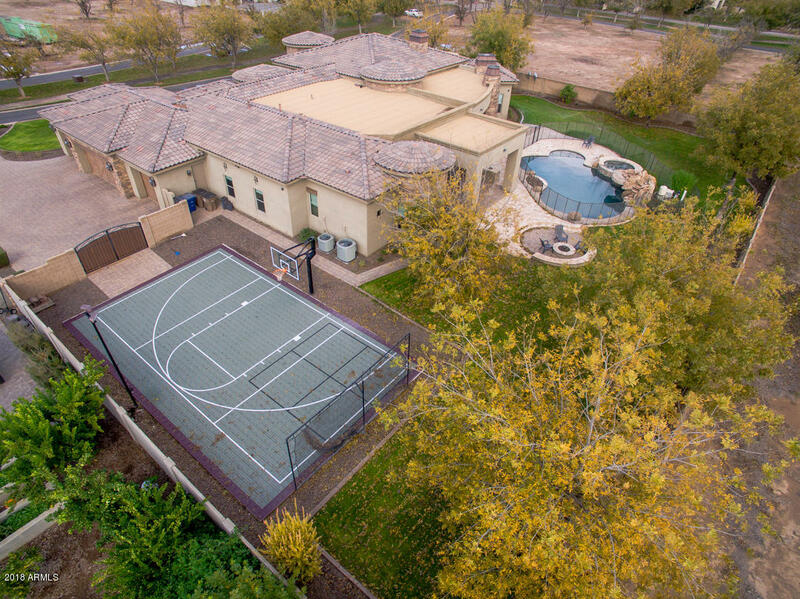 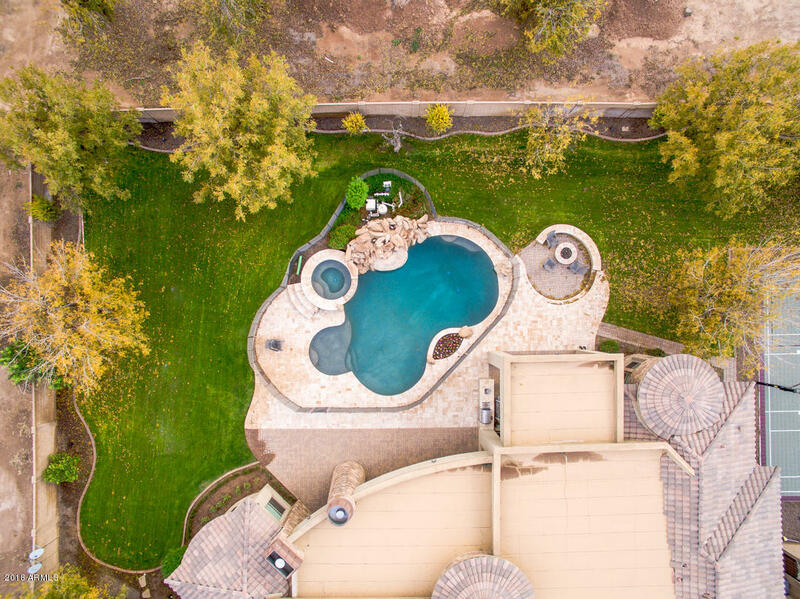 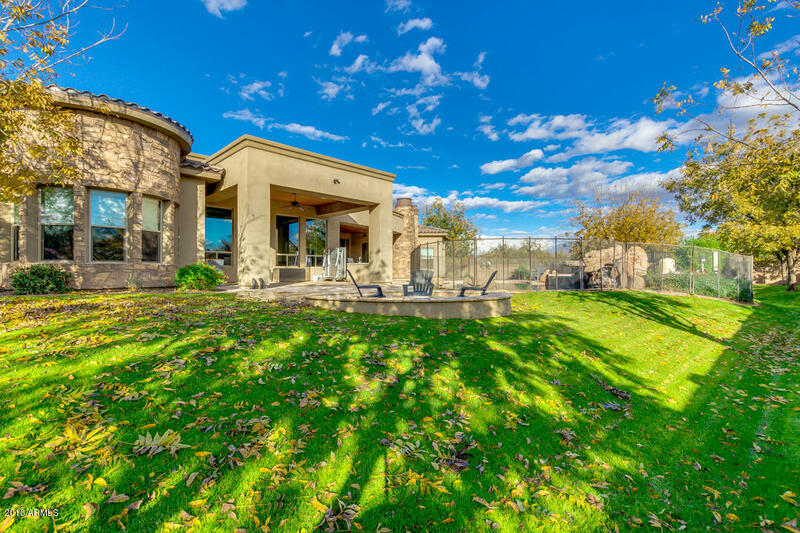 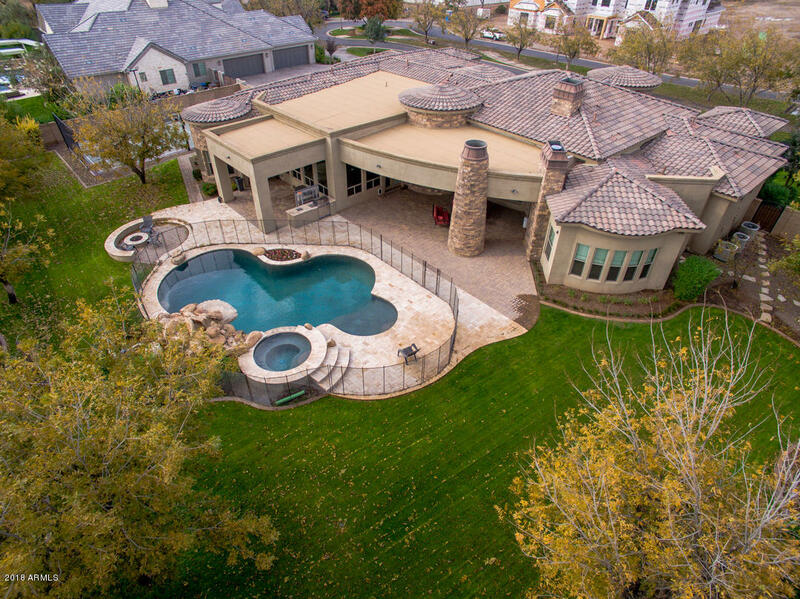 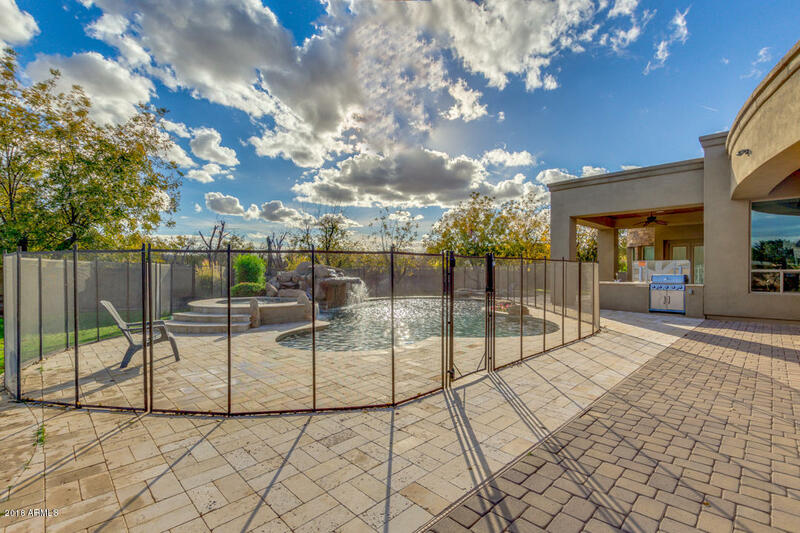 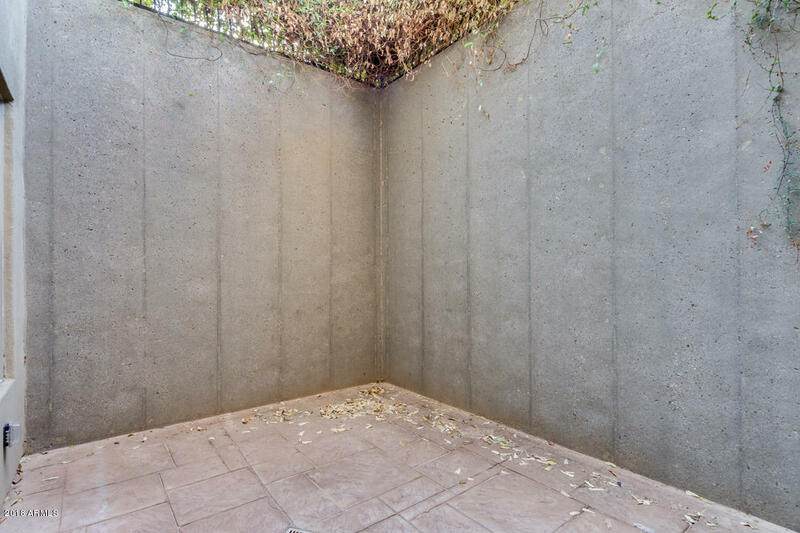 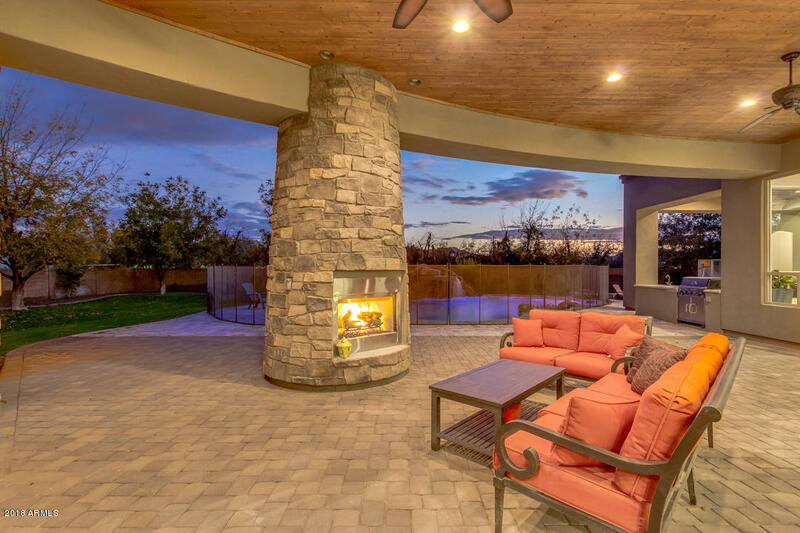 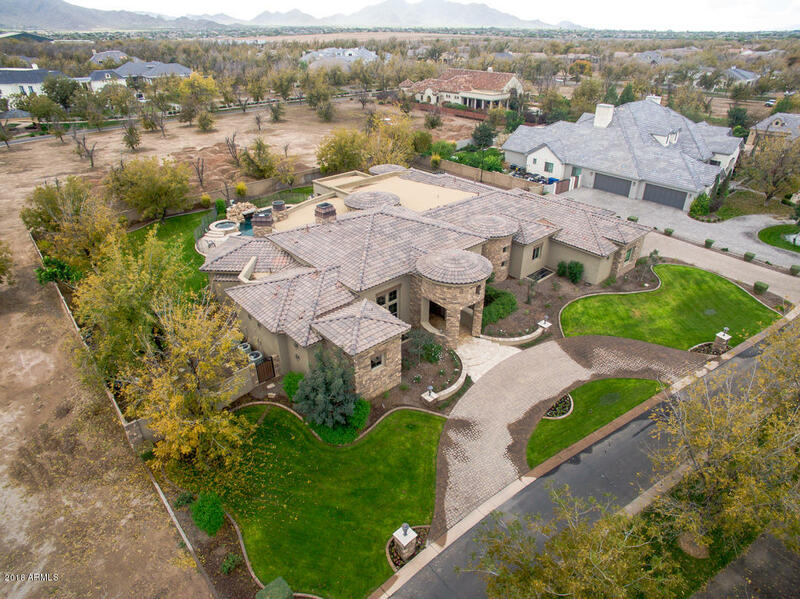 Resort style backyard offers fire pit area, fireplace in the covered patio, basketball court, spa, and sparkling pool w/boulder waterfall & grotto. 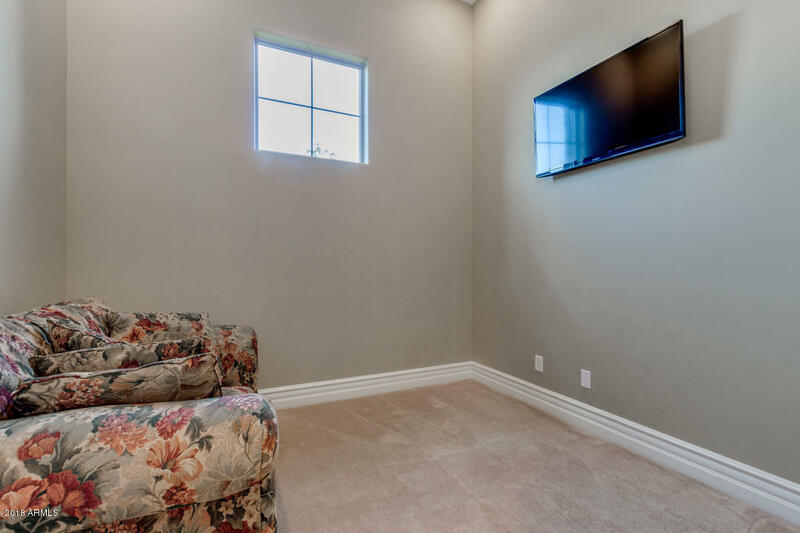 Many upgrades during build!